With cold weather and winter holidays approaching, our food needs turn from something cool, crisp, and refreshing to meals that are warm, cozy, and comforting, filled with memories and traditions. Stop by The Cozy Apron for some easy and delicious recipes. There is everything from Oktoberfest potato stacks complete with sausage and beer to wonderful soups, including chili cheesesteak stew, rigatoni meatball soup, and chicken tortilla soup. 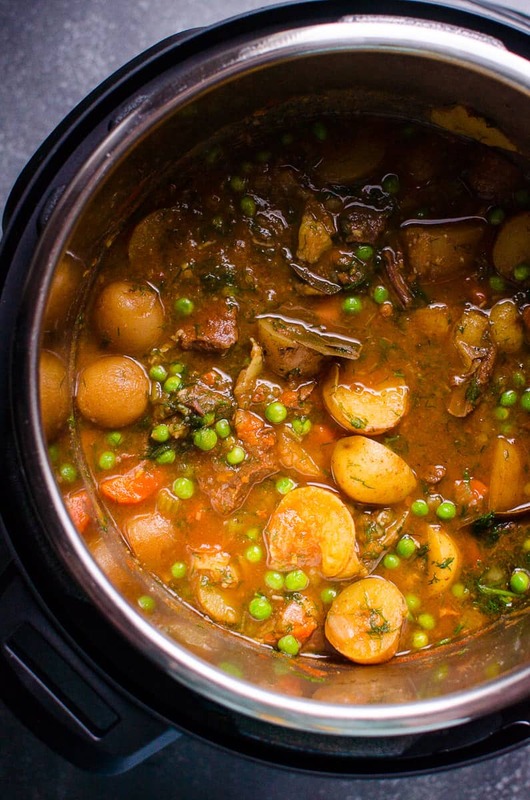 The Cozy Cook is another website that offers simple and delicious recipes for busy cooks. It contains ciabatta bread for dipping, copycat Texas Roadhouse rolls, and numerous Instant Pot recipes such as homemade Hamburger Helper, mashed potatoes, and broccoli cheddar soup. 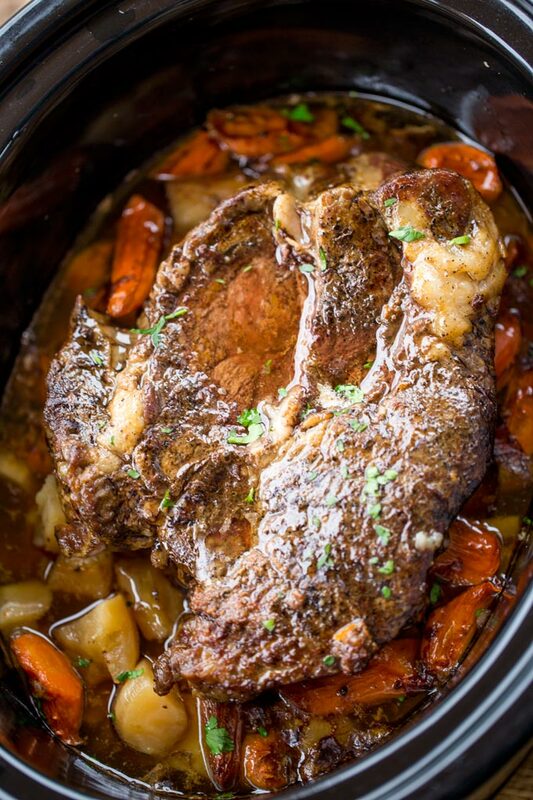 If you still love your crockpot, there are plenty of slow cooker recipes, including Mississippi pot roast and macaroni and cheese. KHCPL is rich in cooking magazines from old favorites like Good Housekeeping and Woman’s Day to modern classics like Cook’s Illustrated, Bon Appétit, and Food and Wine. Special dietary concerns don’t need to keep you from enjoying fall treats. Checkout Weight Watchers Magazine, Veg News, Clean Eating, Gluten-Free Living, Diabetic Living, and MaryJanesFarm, which features the article “The Secret to Perfect Pumpkin Pie” in the October/November issue. For this busy time of year, be sure to make use of time-saving kitchen appliances! Pick up a slow cooker cookbook such as Fix-it and Forget-it Lazy and Slow Cookbook: 365 Days of Slow Cooker Recipes by Hope Comerford or Taste of Home Slow Cooker Throughout the Year: 495 Family Favorite Recipes: Simmering for Every Season! Instant Pots are really popular, and KHCPL has the cookbooks! Try How to Instant Pot Book: Mastering All the Functions of the One Pot That Will Change the Way You Cook by Daniel Shumski or The Instant Pot Bible: More Than 350 Recipes and Strategies: The Only Book You Need for Every Model of Instant Pot by Bruce Weinstein. For cookbooks that are seasonal, try Purely Pumpkin: More Than 100 Wholesome Recipes to Share, Savor, and Warm Your Kitchen by Allison Day or Cooking in the Moment: A Year of Seasonal Recipes by Andrea Reusing. Sometimes cooking connects to our lives in deep ways. 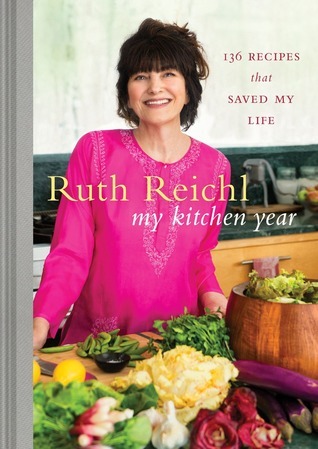 My Kitchen Year: 136 Recipes That Changed My Life by Ruth Reichl follows Ruth as she heals through the simple pleasures of cooking after the abrupt closing of Gourmet Magazine. Each dish Reichl prepares for herself -- and for her family and friends -- represents her lifelong passion for food. Food is also a profound reflection of a person's life. 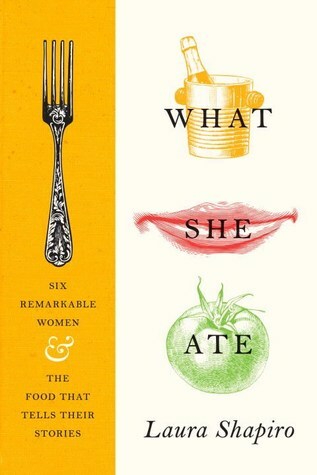 One of our top Howard County Reads titles for 2018 is What She Ate: Six Remarkable Women and the Food That Tells Their Stories by Laura Shapiro, which is not a cookbook but a fascinating study of food in the lives of six prominent women. Enjoy the season with food that makes you happy! All Hallows’ Read is the brainchild of author Neil Gaiman. In 2010 he had the sudden inspiration to start a new holiday tradition that involved giving books. 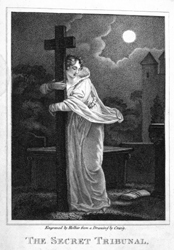 The next major holiday was Halloween, and All Hallows’ Read was born. 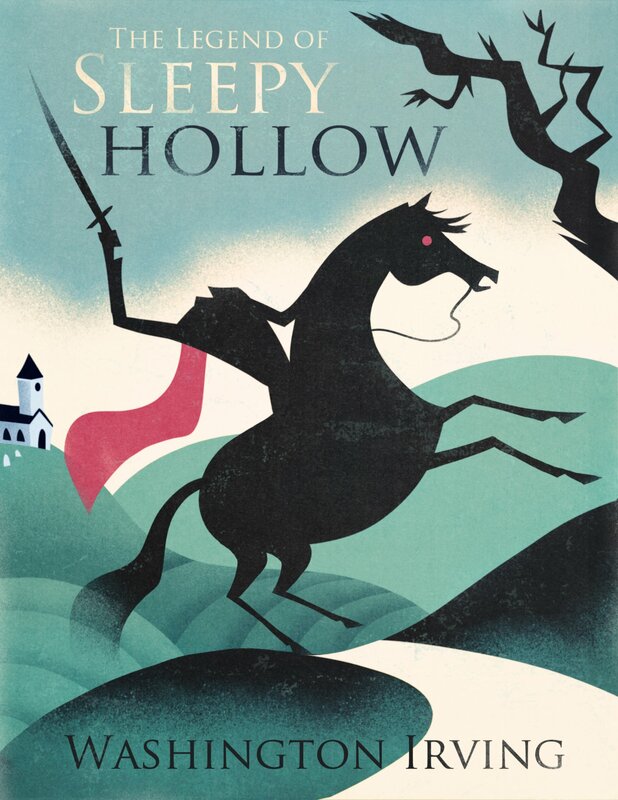 The idea behind All Hallows’ Read is to encourage people to “give someone a scary book for Halloween.” Old books, new books, secondhand books, hardcovers, paperbacks, eBooks, audiobooks, they are all fair game. Gather together and share a book with family or friends, or gift a total stranger as a random act of kindness. Rather than a sugary treat, All Hallows’ Read gives someone an experience by connecting that person with a story. While booksellers were quick to embrace the book giving aspect of All Hallows’ Read, libraries quickly embraced the reading aspect. 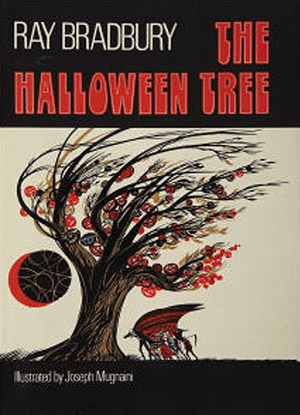 During the month of October, librarians encourage patrons to read a scary book to celebrate Halloween, making All Hallows’ Read a celebration of reading as well as of books. The horror genre isn’t all blood and guts and homicidal clowns. 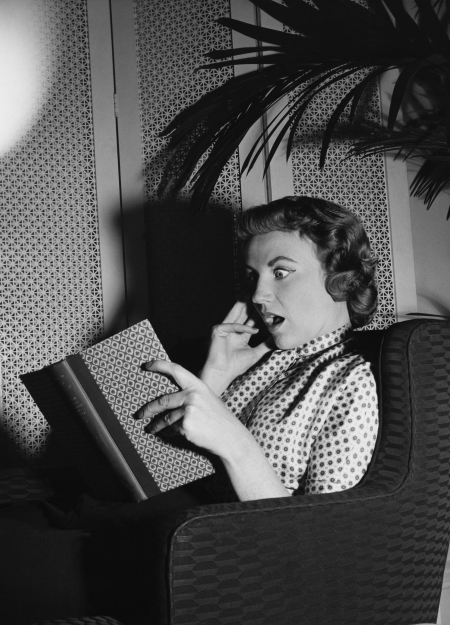 If you don’t want a book that will keep you up all night, there are plenty of other options. Give something with spooky atmosphere a try. Check out a book with a post-apocalyptic setting. Pick up a thriller from the mystery section. 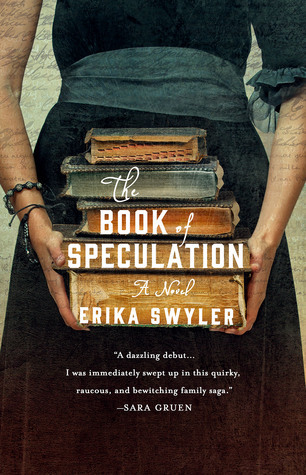 Find a book with a supernatural element or, better yet, explore folklore about “real life” hauntings. If none of these appeal to you, try something seasonal. 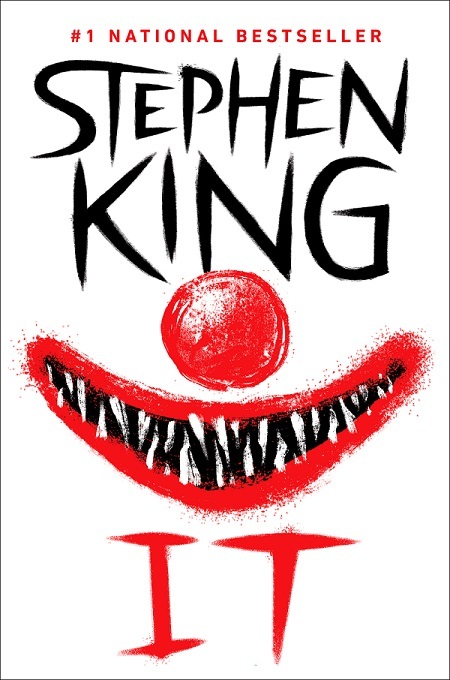 And if you’re still unwilling to dip your toes into the horror genre, then simply read a book this Halloween. As nights grow longer and darker, chilly winds begin to blow, bringing us darker thoughts and thrills, Halloween, corn mazes, and spooky fiction! KHCPL has the books of the season! 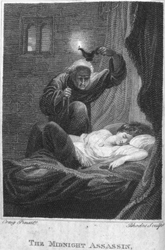 Gothic fiction is as old as Walpole’s 1764 novel The Castle of Otranto and as fresh as The Miniaturist by Jessie Burton, which is now showing as a PBS series. The genre gets its name from the style of architecture seen in old castles, cathedrals, and spooky mansions that appear in the narratives. 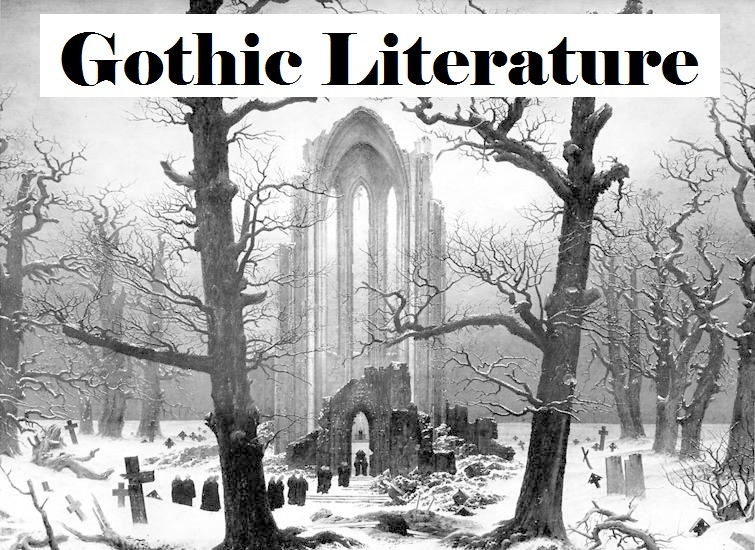 To learn more about the characteristics of Gothic literature, check out The Guardian's pictorial article "How to Tell You're Reading a Gothic Novel." Wrap it all up with The Miniaturist by Jessie Burton. 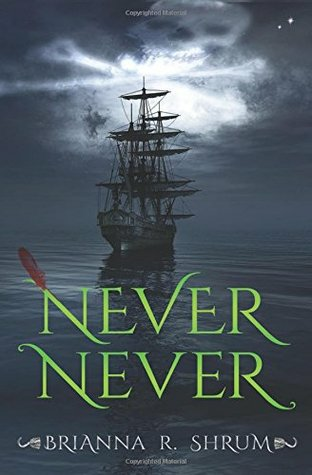 This tale of 17th century Amsterdam involves young Petronella who arrives in the city to fulfill an arranged marriage that turns out to be different than she had imagined. She is gifted with a large cabinet representing her new home, filled with miniature people and furniture representing the mysterious household where she now resides. Enjoy the intriguing book, borrow the DVD, or enjoy watching it on PBS. August is National Breastfeeding Awareness Month. Within the month of August, the first week is World Breastfeeding Week, and the last week is Black Breastfeeding Week. The goal of these observances is not only to inform and empower women in their childbearing years but to highlight the critical importance of community support for breastfeeding success. Part of the United States Breastfeeding Committee (USBC) 2018 campaign’s call to action is to spread awareness that everyone can help make breastfeeding easier, and KHCPL has resources for new mothers and mothers-to-be as well as their partners, relatives, and friends. 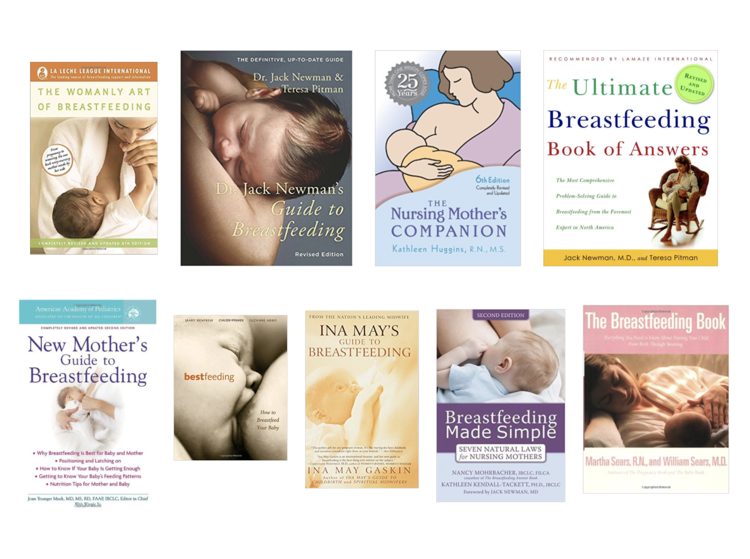 There are over a dozen books in the library's collection on the topic of breastfeeding as well as a DVD. These materials offer information, guidance, and troubleshooting assistance. For additional support, Howard Community Hospital offers a breastfeeding drop-in center on Friday mornings as a free community service. One of the grand traditions of summer is the family vacation. 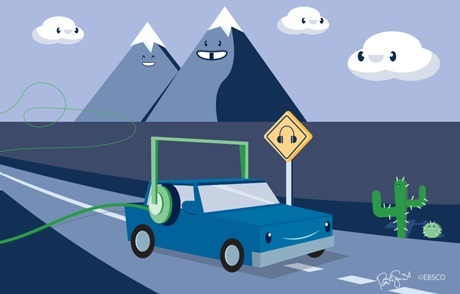 The mere thought of a family road trip often conjures memories of endless hours of boredom punctuated by sibling squabbles in the back of a minivan, especially for people born in the era before walkmans, iPads, and vehicles with built-in DVD players. 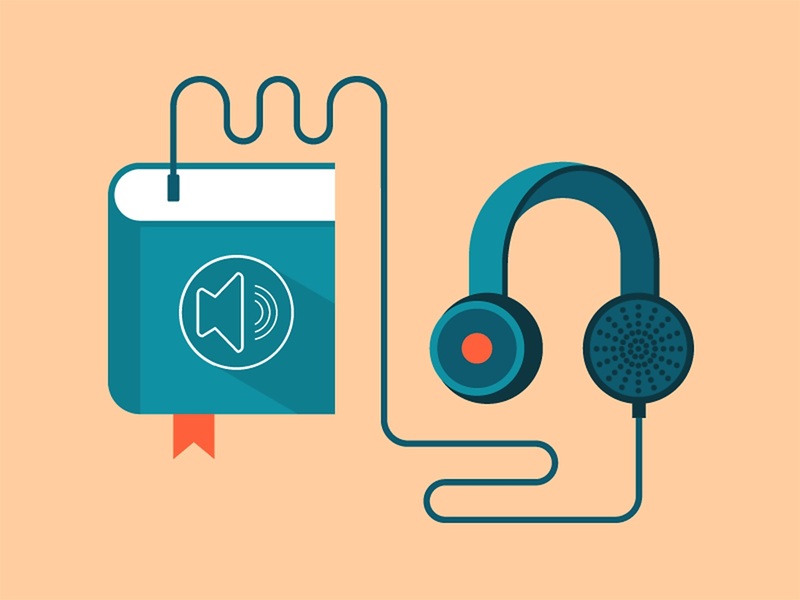 To combat the tedium of long car trips, consider taking an audiobook along this summer! They are available on CD and mp3 discs that can be played on a car’s stereo and in digital formats that can be broadcast via Bluetooth from a personal mobile device. 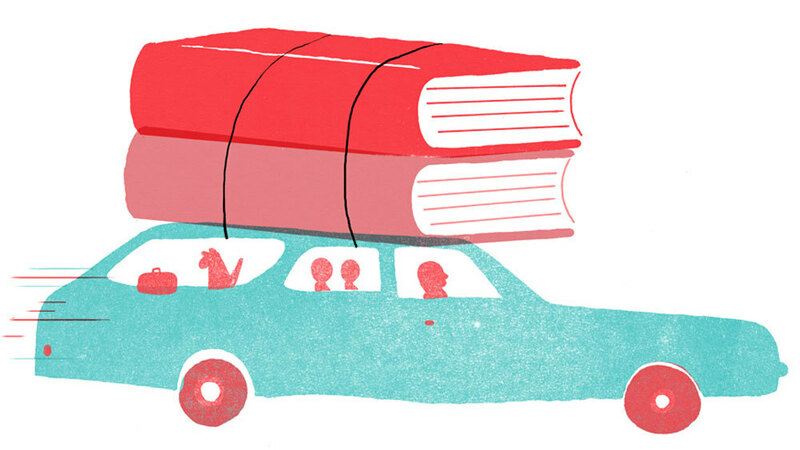 For long drives, select a books in a series, and for short drives, pick a stand-alone book. Brown Bear & Friends by Bill Martin, Jr. Since we skipped spring and went straight into the beautiful whims of summertime, we must talk about those must-read, head over heels, shoot for the stars, lay in the starlight, feel the firelight, have to read kind of books! Summer is here, and that means it is time for an ultimate adventure. You know, the one you have been waiting on all winter long while the night came early and the cold bit at your face?! These are those precious moments of fresh air and vitamin D that you need to escape from the drone of everyday! So, let’s talk EPICS and ADVENTURES; let’s tell stories by the fire while we chase fairies in our dreams and capture trolls! Now is the time to seize those precious moments to treat yourself to a mesmerizing read! My current personal obsession comes in the form of a Monstrumologist -- a scientist devoted to studying the stuff nightmares are scared of, monsters that know the hunger of blood and yet are never satiated. This story follows after the adventures of Dr. Pellinore Warthrop and the indispensable services of a young William Henry while outlining their quests in early America to catch and document beasts that exist in legends. Whether it be in romance or in fantasy that you find your mind’s summer quest, our hope is that you throw yourself headlong into a story and lose yourself there for adventure’s sake! Be it a good book or a handful of short stories, we encourage you to explore the depths of the real or unreal while the days linger long and warm. For the Monstrumologist and I, we have a date to the depths of despair and back! Good reading, good hunting, and great imagining! 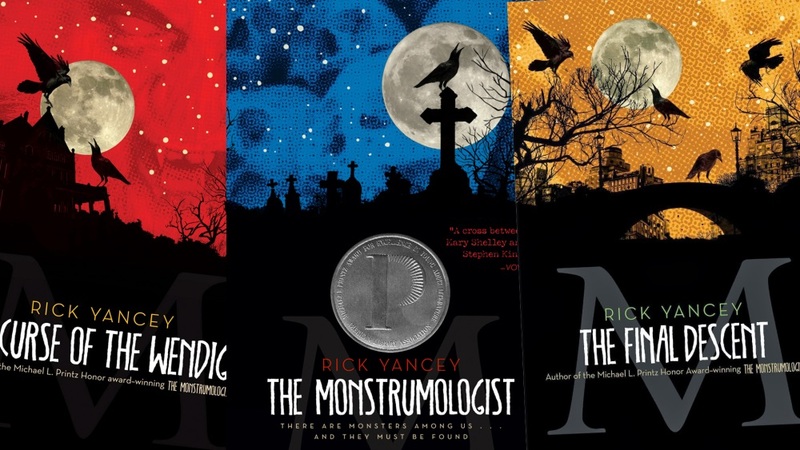 If you would like to check out the Monstrumologist series by Rick Yancey along with me, KHCPL has copies both in print and on audio. Rick Yancey is also the author of many other books, including The Fifth Wave, so be sure to checkout his other works. Book people love books. They love how they look. They love how they feel. And they love the stories they contain. 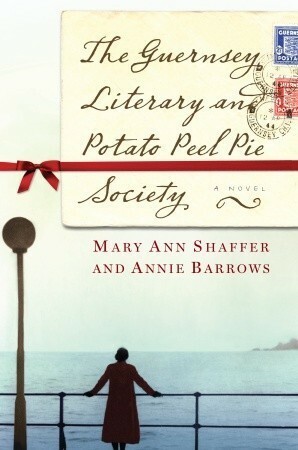 Few bibliophiles can resist the charms of a book reflecting the reader’s own deep love of books. Books about books are myriad. 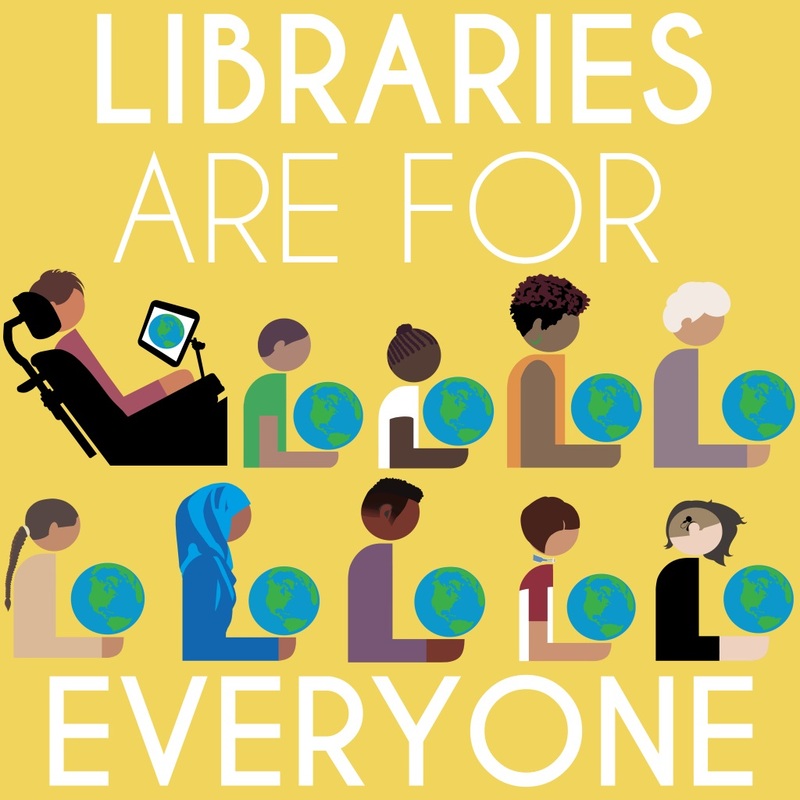 There are stories in which books play a crucial role, and there are books that discuss the impact of books and reading on people’s everyday lives. The characters in some books are readers, and there are some books in which a character reads a particular book. Sometimes a story is set in a library or bookstore, and sometimes a character visits a bookstore or library. Broken Wheel, Iowa, has never seen anyone like Sara, who traveled all the way from Sweden just to meet her pen pal, Amy. When she arrives, however, she finds that Amy's funeral has just ended. 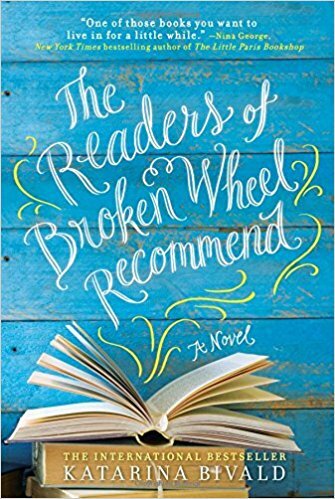 Unwilling to return home without getting to know firsthand the people and places Amy described in her correspondence, Sara decides to rescue one of the town's many abandoned storefronts and open a shop using Amy's eclectic trove of books. 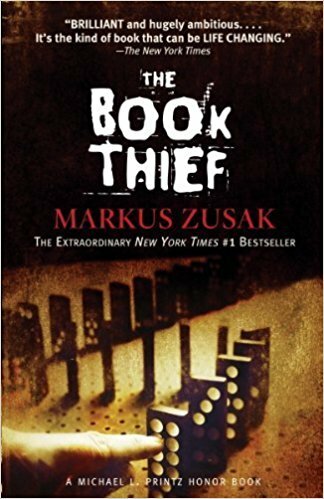 Simon Watson, a young librarian on the verge of losing his job, receives a mysterious package from an antiquarian bookseller. 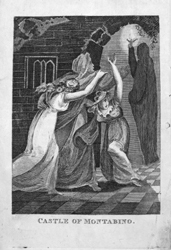 It contains a mysterious volume that documents suicides by drowning dating back to the early nineteenth century, many of whom turn out to be Simon's female ancestors. 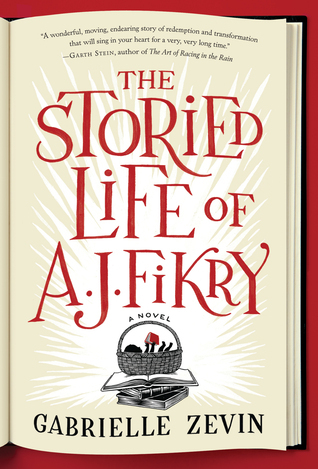 A. J. Fikry, the cantankerous owner of Island Books, is despondent after the death of his beloved wife and theft of his prized rare edition of Tamerlane. When he discovers an abandoned baby at his store, he undergoes a dramatic transformation. 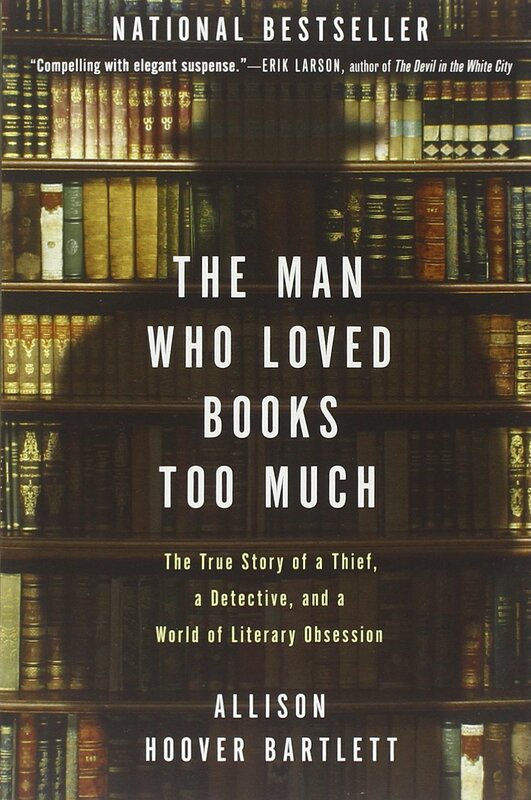 Journalist Allison Hoover Bartlett recounts the crimes of John Charles Gilkey -- an obsessed, unrepentant book thief who stole hundreds of thousands of dollars' worth of rare books from book fairs, stores, and libraries around the country -- and of Ken Sanders, the a book collector and self-appointed book detective, who finally caught him. 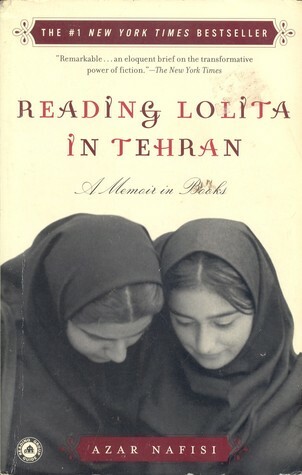 Literature professor Azar Nafisi recounts how in the Islamic Republic of Iran, she and seven of her female students secretly gathered for two years every Thursday morning to read forbidden Western classics. 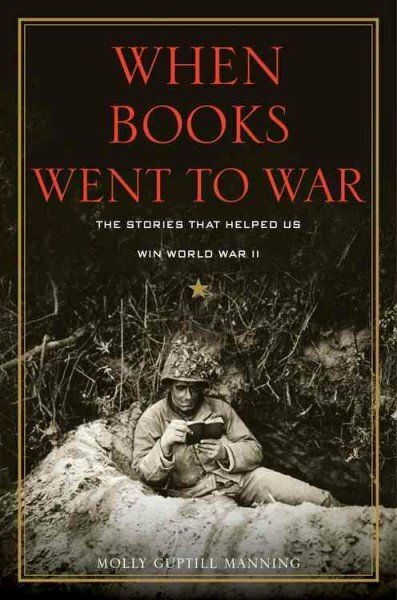 This book chronicles the joint effort of the U.S. government, the publishing industry, and the nation's librarians to boost troop morale during World War II by shipping more than one hundred million books to the front lines for soldiers to read during what little downtime they had. 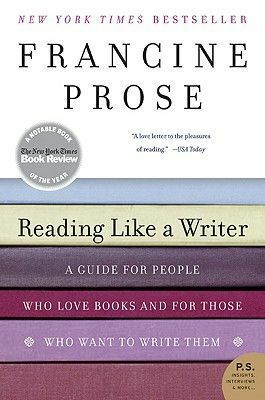 A consummate novelist and critic as well as a seasoned teacher approaches the art of writing through the art of reading. 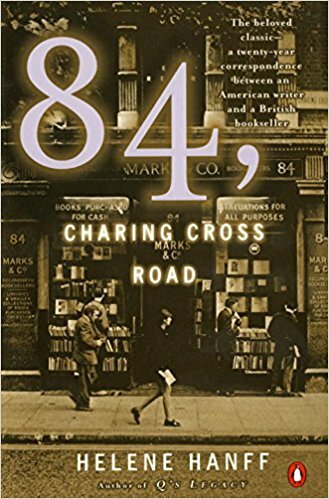 What started as a request for an out-of-print book evolved into a 20-year friendship between Helene Hanff, a freelance writer living in New York, and Frank Doel, a used-book dealer in London. Reading Without Walls is a national reading program celebrating diversity. Gene Luen Yang, the National Ambassador for Young People's Literature, developed this platform to encourage readers to explore books with characters who look, live, and think differently than they do. He expands the definition of diverse reading to include topics a reader hasn’t discovered and even formats a reader has not tried. 3. 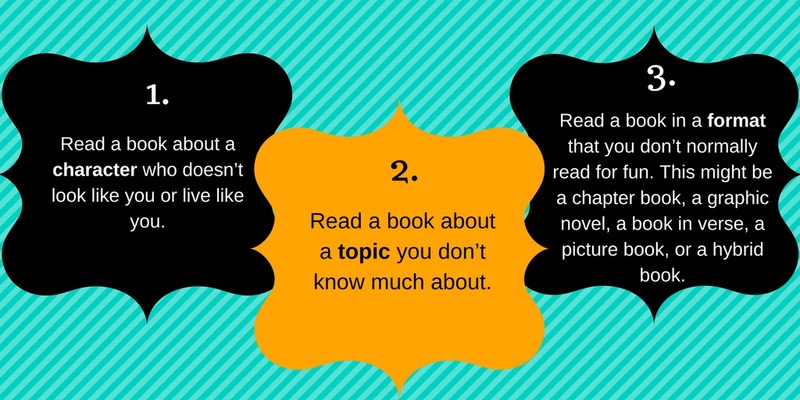 Read a book in a format that you don’t normally read for fun. This can be a chapter book, a graphic novel, a book in verse, or an audiobook. Diversity comes in many facets. This challenge can cover many differences: ethnic, cultural, lifestyle, religious, and ideological as well as book formats and genres. It is important for readers to “read widely”. Books can open up the world around you. So challenge yourself and invite your friends to join in the adventure with you! Share your experience using the hashtags #readingwithoutwalls and #diversebooks. KHCPL can start you on your quest to find diverse books and materials. 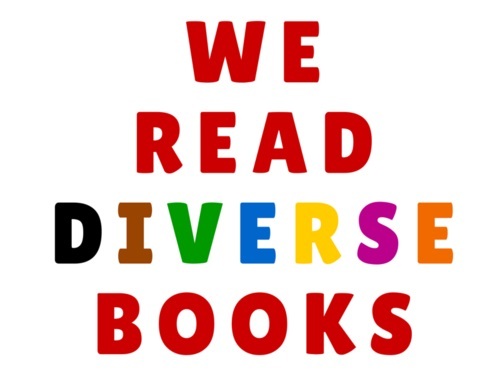 You can also go to Where To Find Diverse Books for more children and teen titles. Good Reads is another great resource to for lists of diverse books. Accept the challenge today! Let the adventures begin!!! 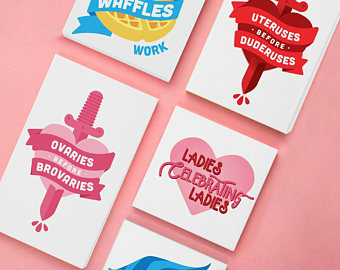 February 13th is Galentine’s Day! What is Galentine’s Day you may ask? 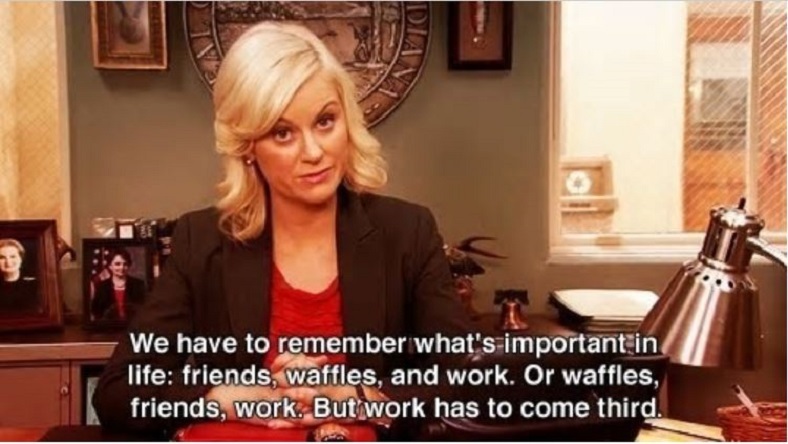 Only the best day of the year according to fictional Parks and Recreation character Leslie Knope. On the TV show, Leslie created a day about celebrating lady friends to demonstrate the importance of those friendships on the same level of romantic relationships. So on February 13, we celebrate and fuss over the wonderful lady friends in our lives. One way to celebrate is by letting the women in our lives know they are amazing. You can tell them or send a Galentine’s day card. You can get those here. Feed the ones you love. 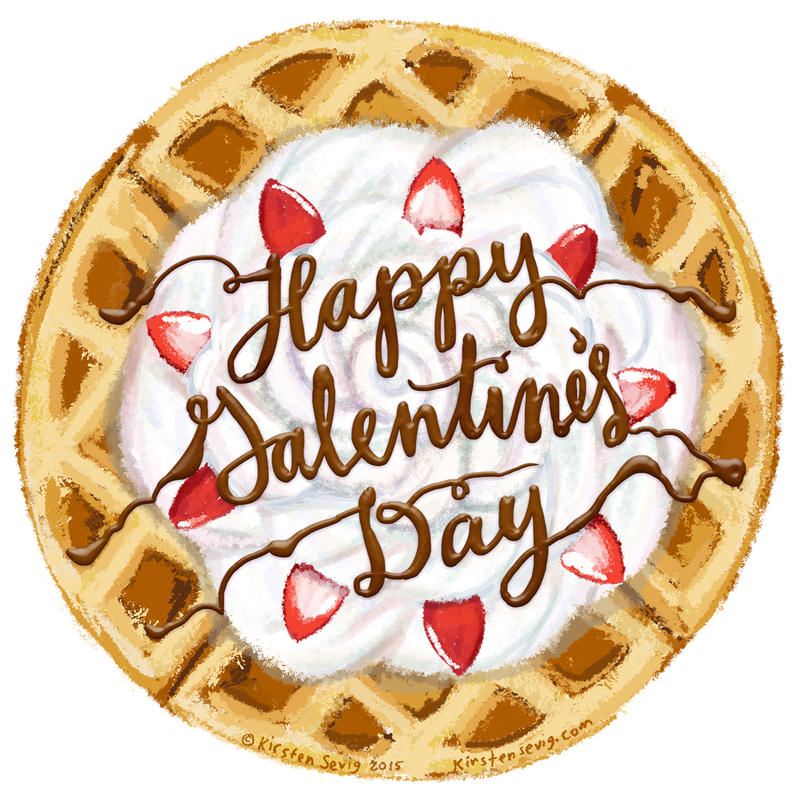 Waffles are synonymous with Galentine’s day, if you want to try your hand with waffle experimentation then check out this fun e-book. You don’t have to break the bank to give your friends a token of friendship. For a small price, you can do something as simple as handing out temporary tattoos to boldly display your friendship. 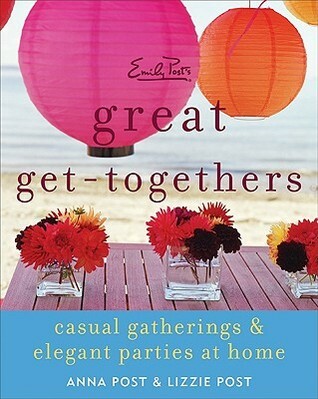 Put together an evening at home just for the girls with these ideas or check out the library’s large selection of party planning books for more concepts. The library has a ton of DVDs and Blu-rays to check out for entertainment. 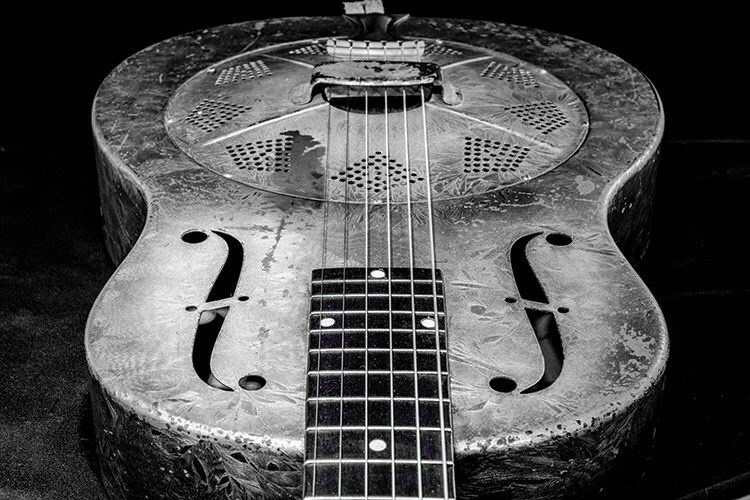 Blues music is most commonly known for its subject matter – melancholy songs about love, loss, and injustice. 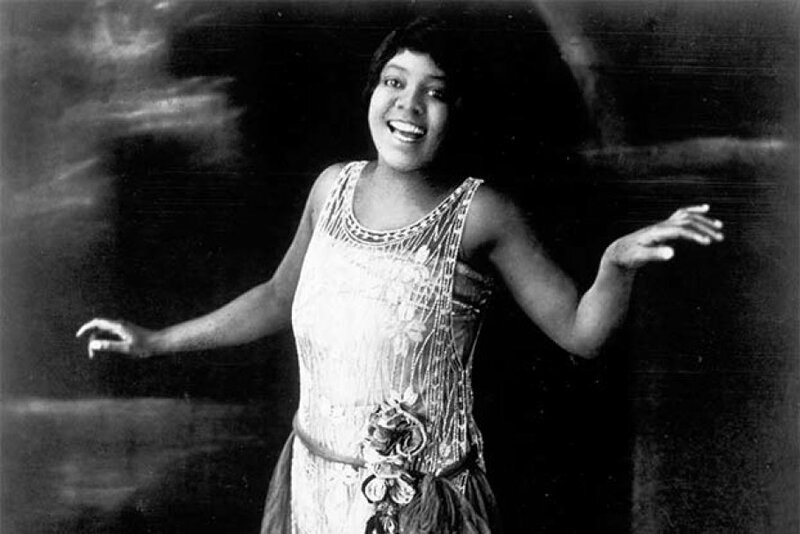 But the genre actually began as a specific pattern of chord progressions that evolved from a uniquely American, Afro-Anglo musical blend. 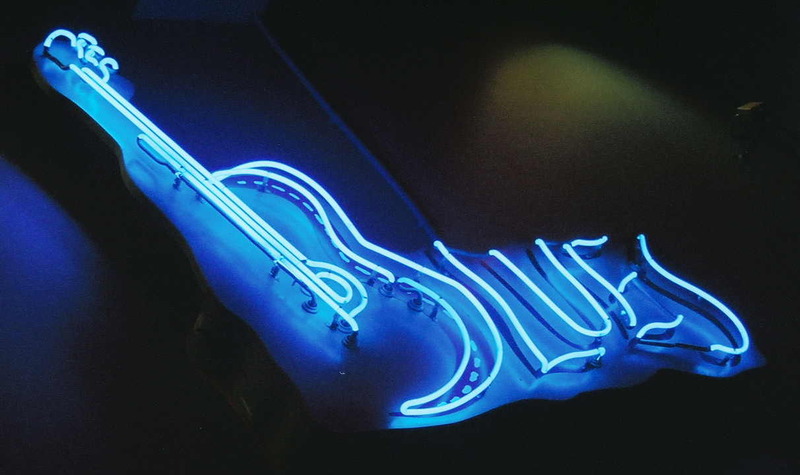 The twelve-bar blues remains the most famous as well as the most common form of blues music. 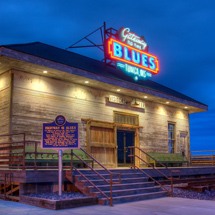 The history of the blues is hotly debated among musical historians and fans alike. 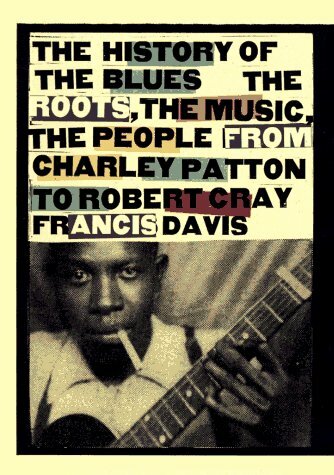 Many books attempt to clarify the murky origin of this musical genre and trace its evolution from the Mississippi Delta to Texas, then Chicago, and finally across the entire globe. Check out these books from KHCPL’s collection to learn more. But there is no need to understand its rich and complex history to appreciate blues music. All one needs to do is listen. 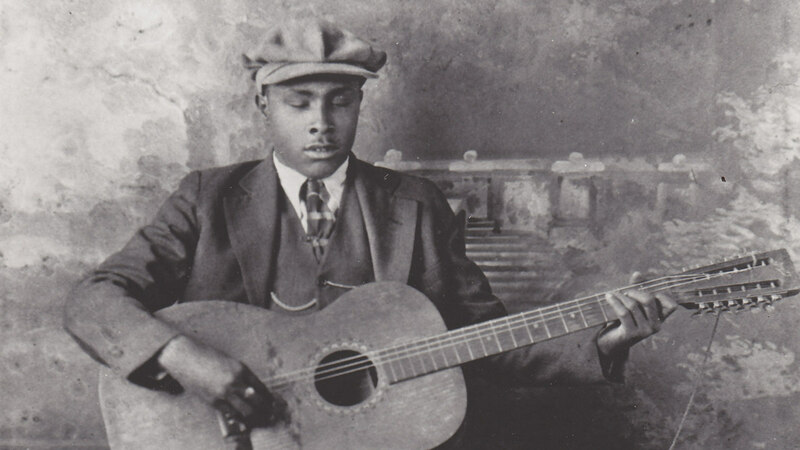 One of the best resources for blues music, especially for digitally remastered recordings of early blues musicians, is Freegal. Freegal is a free music service that can be accessed with your library card. KHCPL patrons can download 5 songs in mp3 file format per week and stream 5 hours of music per day. 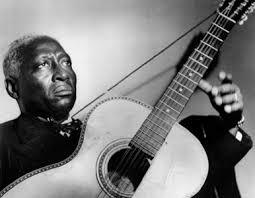 Muddy Waters -- "Father of Modern Chicago Blues"
Freegal even has music by Kokomo Arnold. Although he is not a native son, he takes his name from the city of Kokomo. 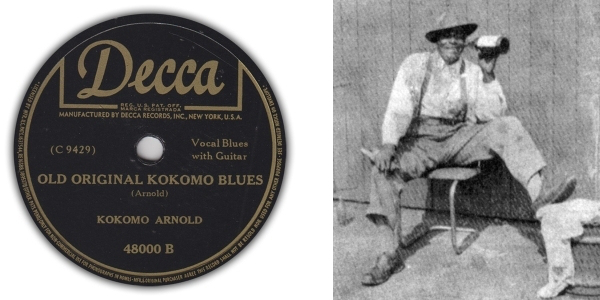 This blues artist received the nickname Kokomo in 1934 after he released a cover version of "Old Original Kokomo Blues" by Scrapper Blackwell, which is a blues song about Kokomo, Indiana. 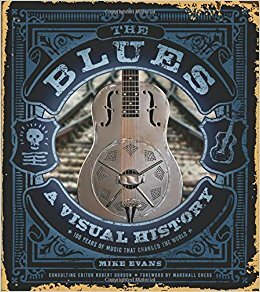 Because almost every genre of popular music today has its roots in blues music, the blues are worth taking a listen to. Just plug in a set of headphones and cue up a track that strikes your fancy. There’s never a better time to play the blues. January is probably the least exciting month of the year. Let’s be honest, the holiday season is over, and it’s so cold that leaving the house seems like a chore. But KHCPL has just the ticket to beat those winter blues. On Tuesday, January 23 from 6:30 to 8 p.m., KHCPL will host Tin Man Brewing and comedian Chris Bowers downtown at KHCPL Main for our first Guys on Tap. (Don’t let the name fool you, anyone 21+ can attend.) Bowers is a regular guest host on the nationally syndicated radio program “The Bob & Tom Show.” He’s the host of “Trial by Laughter” on Comcast, and he’s appeared on Fox’s standup comedy show “Laughs.” I would tell you all about Tin Man Brewing, but if you haven’t been there yet, you just need to visit the old downtown train depot and discover one of Kokomo’s best places for beer. It’s worth it, trust me. While you’re waiting for Guys on Tap, here are some movies and books to get you ready. Spanning several decades beginning in the 1950s, Crystal reminisces about what it was like growing up in a loving Jewish family in Long Beach, LI. 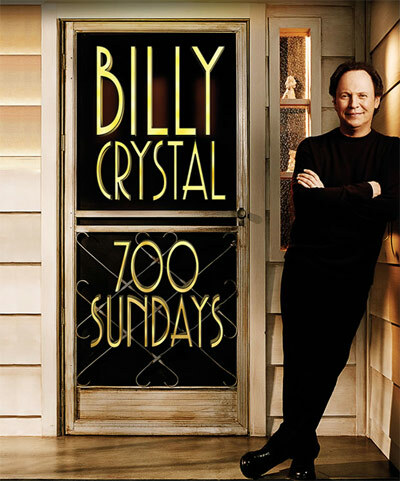 He recalls the numerous eclectic relatives who inspired him, the huge influence of jazz on his family, his passion for the New York Yankees, and much more. 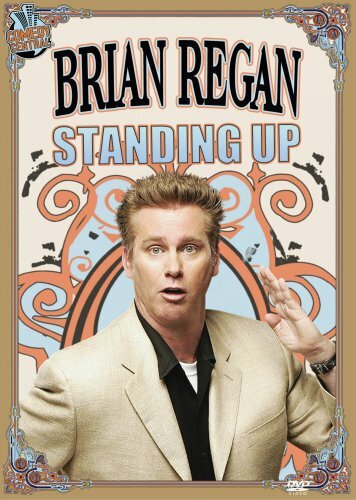 Straight off a coast-to-coast tour and into your living room, this concert film captures comedian Brian Regan at his best. Butterflies, show horses and greeting cards are no match when this master of standup grabs the microphone. 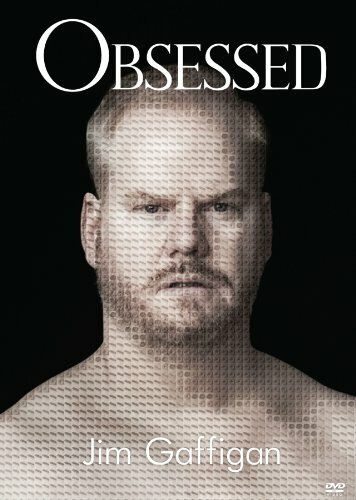 Jim Gaffigan is back with a brand new hour long comedy special. He uses a clever, quiet, and infectious style as he talks about everyday scenarios to which people can relate. As one of the top comedians out today, he continues to raise the bar with new material and, of course, some bacon. 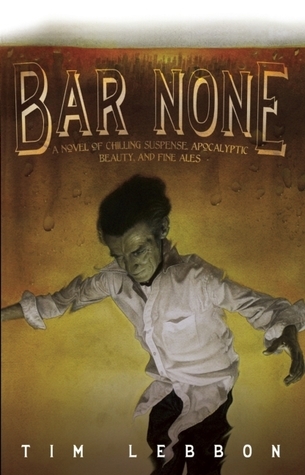 Six months after a plague wipes out most of the world's population, several survivors follow the advice of a mysterious stranger and leave their mansion hideout to seek Bar None, the last bar on Earth. Go on a fun, flavorful tour through the world of craft beers. 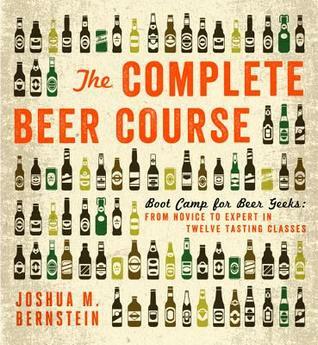 Bernstein demystifies beer and teaches you how to choose from and how to enjoy the vast array of singular brews available today. 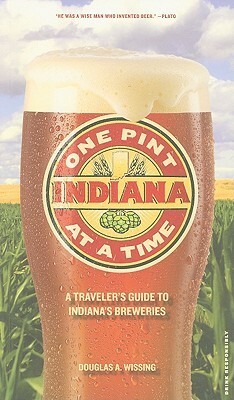 Explore the history and living artisan culture of the Hoosier state's long vibrant brewing tradition. Fall is just around the corner, and that means that football and tailgating are soon to be the highlight of your weekend! 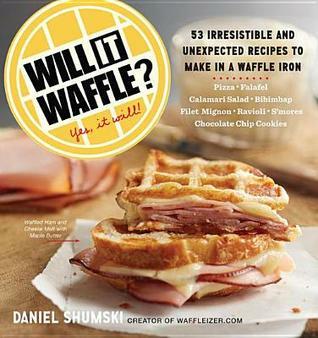 Check out our book suggestions to make the best of this fall activity. Make the perfect food for game day. 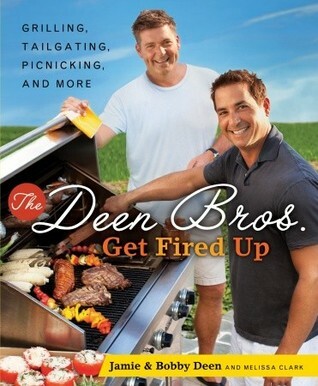 Bring along the portable grill and The Deen Bros’ Get Fired Up cookbook and you’re ready to prepare some awesome BBQ for your tailgate. 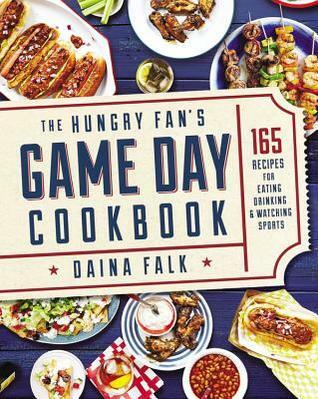 With The Hungry Fan’s Game Day Cookbook by Daina Falk, you can make the perfect foods to wow your friends, whether it’s watching the big game from home or out tailgating. Keep the fun alive with games during the tailgate. 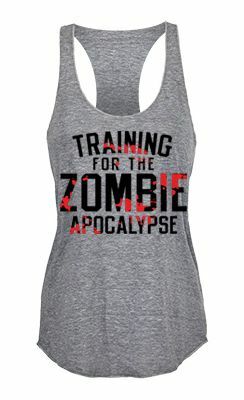 The football players aren’t the only ones who will be ready for some competition. 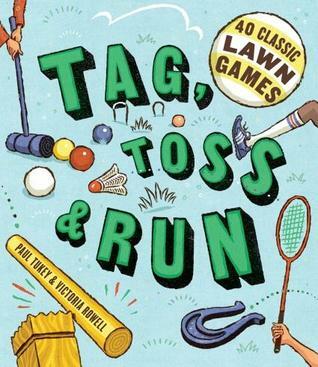 Check out Tag, Toss, & Run for 40 classic lawn games that you and your family can play at the tailgate! 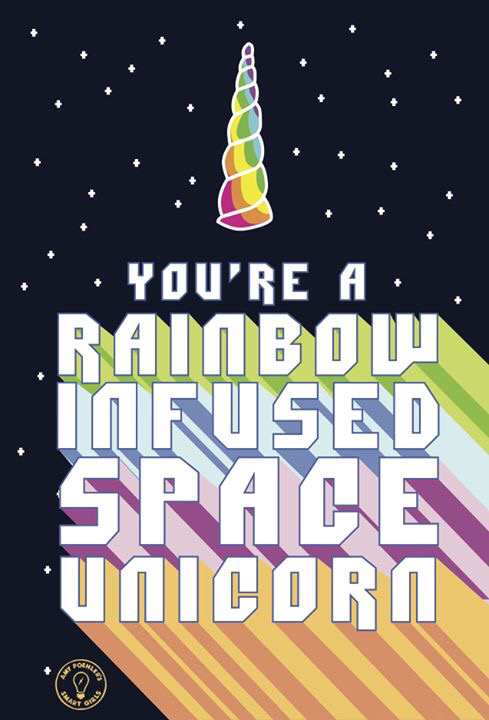 This one is for the adults only! 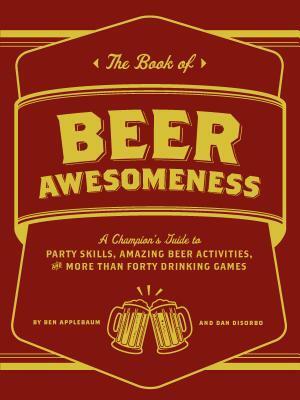 Grab a group of friends, a case of beer, and The Book of Beer Awesomeness by Ben Applebaum for some fun beer activities and games to play before the big game. Know your facts before the big game. 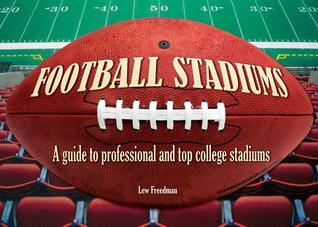 Know your facts on where you’ll be watching the game with Football Stadiums: A Guide to Professional and Top College Stadiums by Lew Freedman that details stories from inside football stadiums across the nation. Love attending the games but have no idea what is even going on? So You Think You Know Football? 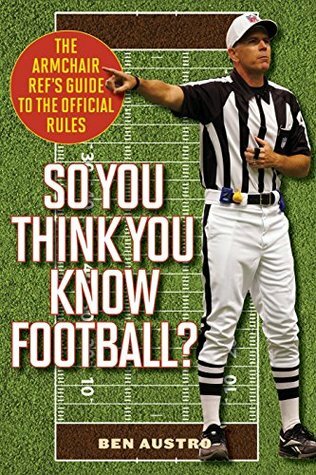 by Ben Austro will give you insight on the ins-and-outs of the football rulebook. Read some stories about the touching impact of football. 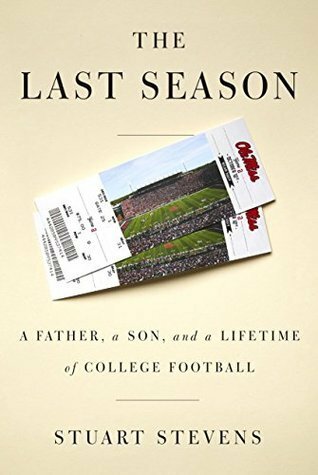 In The Last Season by Stuart Stevens, you’ll learn about the special bond between a father and son, which is created from an autumn spent cheering on their favorite football team. Football is a huge part of American culture today, but how did the sport actually gain so much popularity? 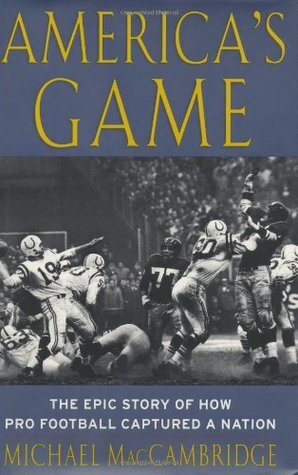 In America’s Game, Michael MacCambridge tells the epic story of how football captured our nation and shaped American history. Let the kids enjoy the game as well! 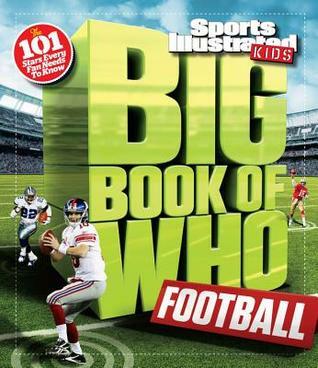 The younger sports fans can check out The Big Book of Who and maybe even learn enough about football stars to outsmart some adults! Bring the kids along to the game with Football by Cynthia Amoroso! 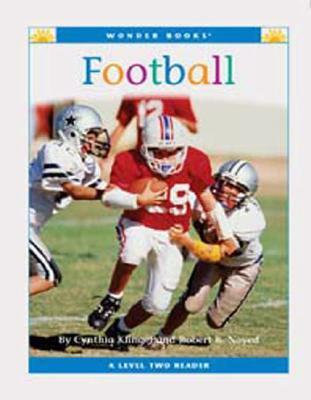 This book for younger audiences gives simple descriptions of the game of football and how it is played. 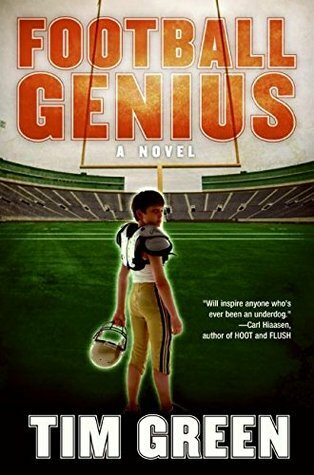 Football Genius by Tim Green will get the younger fans excited to watch the game, as they read about a sixth-grader with a special ability to predict football plays. Get excited about football with some movies and CDs. Tailgates are all about a good time, so make sure you have the right music to make it a good time! 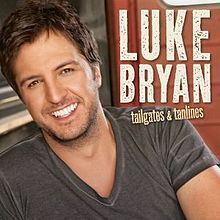 Put Luke Bryan’s Tailgates & Tanlines into the stereo for a perfect tailgating playlist to play before and after the big game. 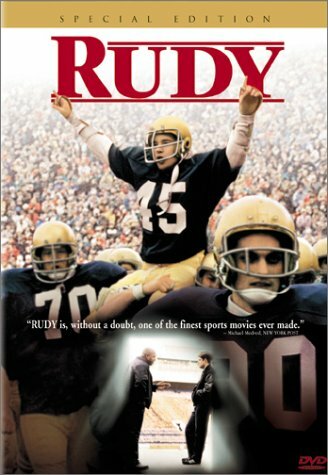 Watch Rudy, the touching classic of a boy chasing after his dream of playing football for Notre Dame. Many people suffer from a seasonal “disease” at this time of year called “Christmas overload.” I have trouble with this sickness each year trying to decorate every inch of my house. And if that isn’t enough, I help my daughter with her house as well as help decorate the library and my church, so it’s time to simplify! 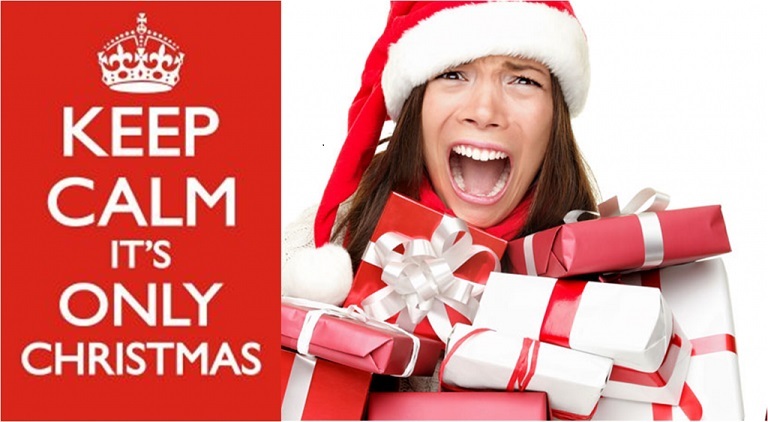 I searched KHCPL's online catalog to find books to simplify Christmas celebrations. I found the book Simply Christmas by Carol Field Dahlstrom. It turns out you really need to watch wording; the title says simply not simple. It is loaded with Christmas decorations, foods, and crafts. With so much to choose, is it even possible to simplify…? 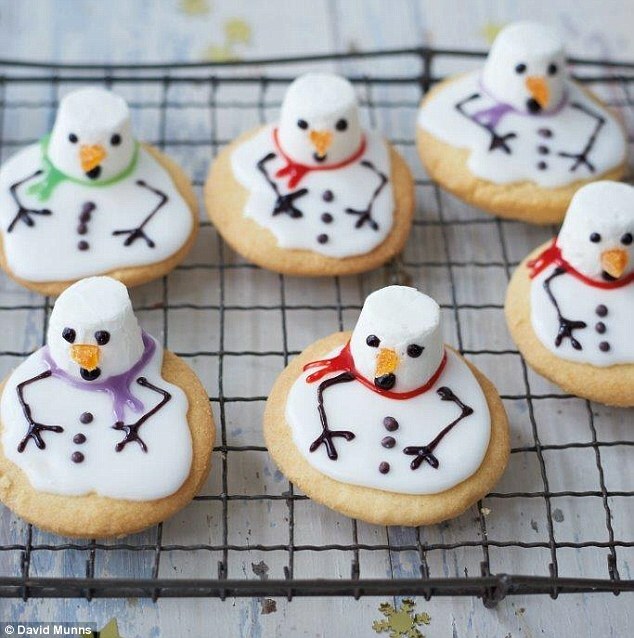 The library has so many Christmas books full of ideas and even recipes to make your season spectacular. Better Homes and Garden always has some great ideas. These are awesome! They make me want to create! Oh, and I can’t forget Martha Stewart when it comes to creating. 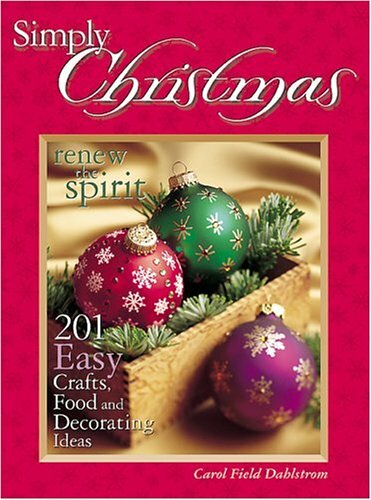 Classic Crafts and Recipes Inspired by the Songs of Christmas has crafts to go with Christmas Carols! I love Christmas Carols, so this would be great. 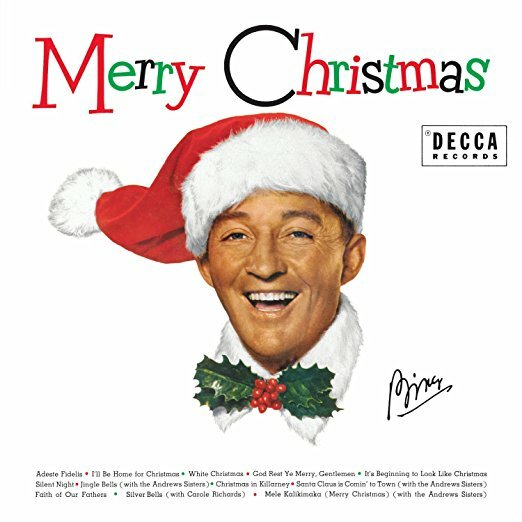 I can even check out some Christmas CDs to listen to while I do some projects, stream music through Hoopla, or download songs from Freegal. But back to simplifying. Midwest Living has some quick and easy holiday décor on their website. But there are so many ideas. What if I want to do them all?! This is beginning to remind me of a children’s Christmas book If You Take A Mouse to the Movies by Laura Numeroff. If you love Christmas with all the trimmings and you love to craft it may be hard to have a simple Christmas. But the real joy of Christmas should be time spent with loved ones. Take baby steps, try to make decorating a family event, which means you can’t be particular about the placement of each ornament. Take the kids to a bakery or bake sale to pick out some goodies instead of baking for hours. Put up a few strands of lights around your entry rather than the whole house. 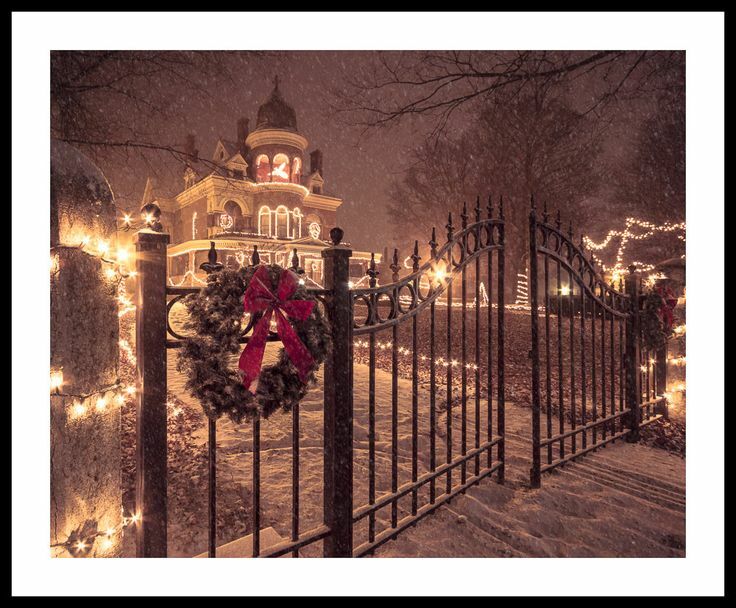 Then stroll through Highland Park, the We Care Park, or the Seiberling to enjoy their lights. But whatever you do, if you really want to simplify, stay away from Pinterest! 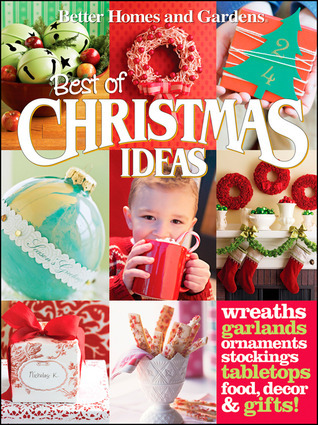 They have tons of ideas, and Christmas overload will start all over again! With summer here it’s time to enjoy the outdoors, starting right here at home! Kokomo and Howard County Indiana are fortunate to have beautiful recreation areas and family fun venues. Within walking distance of most Kokomo neighborhoods, Kokomo Parks have something for everyone including playgrounds, historic sites, sports facilities and a spectacular aquatic park, Kokomo Beach! or enjoy the trees native to this area by checking out the City of Kokomo's Native Trees of Kokomo page. 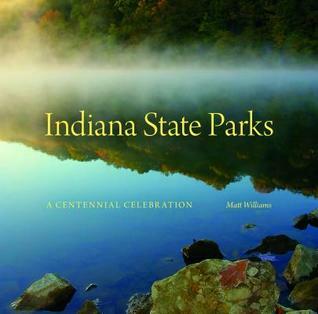 A little further from home, you can enjoy Indiana State Parks and Recreation areas. 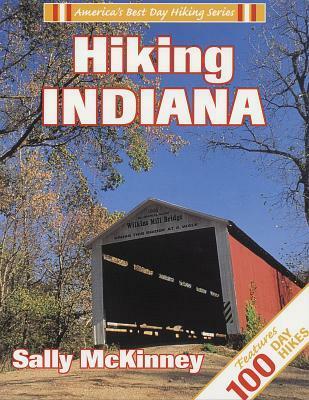 KHCPL has Indiana State Parks 2017 Annual Entrance Permits which may be checked out free for one week at a time from Main, South or Russiaville (call for availability). 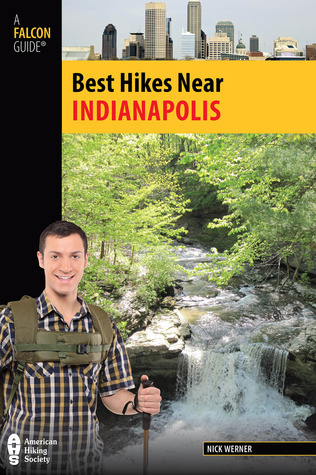 With over 35 state parks, plus Fish and Wildlife areas, Nature preserves and state forests, Indiana is overflowing with outdoor fun opportunities. Bryan Memorial Nature Preserve in Clinton County, about 7 miles northwest of Frankfort. Take SR 38 west. Turn north on CR 450W to a marked parking lot on the right. A self -guiding nature trail with long and short loops traverses the preserve with woods that stand like an oasis surrounded by farmland. The forest canopy is tall, dense and even, compared to woodlots which have been more heavily grazed and timbered. Mississinewa Lake, one of the three Upper Wabash flood-control reservoirs, offers excellent fishing, hunting and boating opportunities in the heart of north-central Indiana. In addition to featuring a 400-plus-site campground and family cabins,. The expanses of forests, prairies and farmland surrounding the lake provide attractive habitat to a wide variety of wildlife, exhibiting exceptional viewing opportunities for hikers, bird watchers and touring bicyclists. Click here for your map and information. Mounds State Park, located off I-69 east of Anderson, features 10 unique earthworks built by prehistoric Indians known as the Adena-Hopewell people. The largest earthwork, the Great Mound, is believed to have been constructed around 160 B.C. Go on a GPS History Adventure by borrowing a Garmin Etrex 10 unit from the Nature Center, bringing your own, or downloading a GPS app on your smartphone. You can also borrow an Adventure Backpack complete with all the gadgets, gizmos & tools you need to complete an Animal Adventure, Insect Investigation or to be a Plant Explorer. 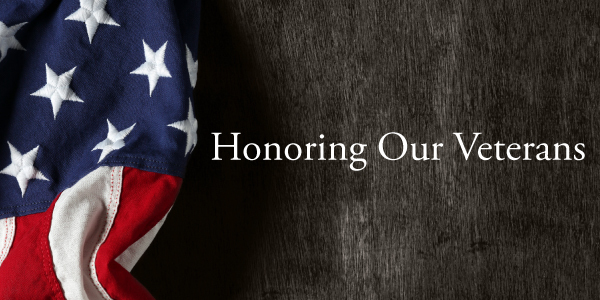 During the Months of November, December, and January, KHCPL is honoring veterans with a variety of programs and exhibits. Stop by the South Branch to see Traveling Exhibit - One Shot: The World War II Photography of John A. Bushem. This exhibits is on loan from the Indiana Historical Society from November 1 to December 4. 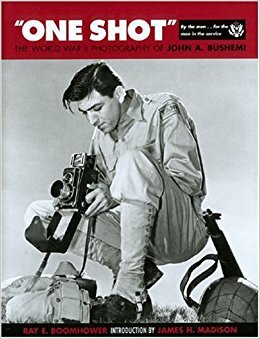 This illustrated historical biography celebrates the accomplishments of World War II's female war correspondents -- including Margaret Bourke-White, Martha Gellhorn, Elizabeth "Lee" Miller, and Janet Flanner -- who risked their lives in combat zones to provide firsthand reports on the events of the war. 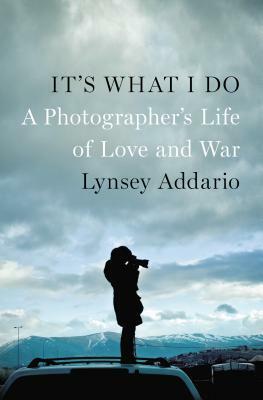 War photographer Lynsey Addario's memoir It's What I Do is the story of how the relentless pursuit of truth, in virtually every major theater of war in the twenty-first century, has shaped her life. What she does, with clarity, beauty, and candor, is to document, often in their most extreme moments, the complex lives of others. It's her work, but it's much more than that: it's her singular calling. 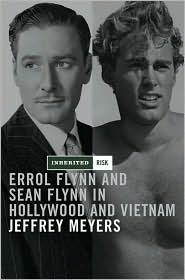 A brilliant father-son biography of the scandalous life of movie star Errol Flynn and of his son's equally glamorous yet doomed career as a war photographer in Vietnam. 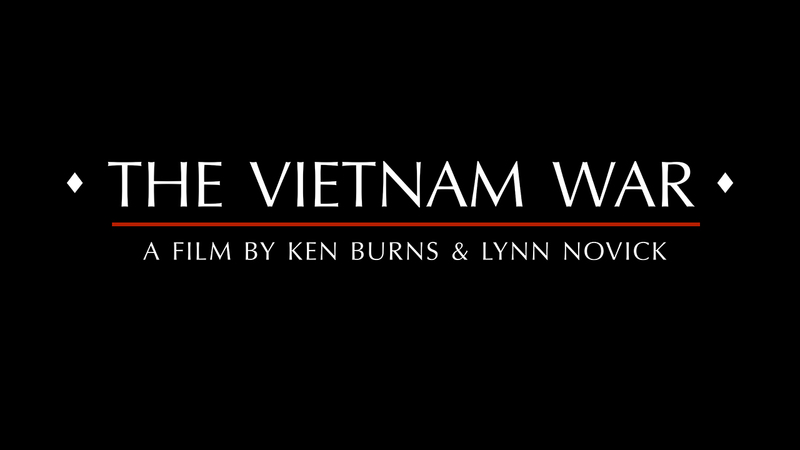 You are invited to attend the program The Vietnam War: A film by Ken Burns and Lynn Novick – Panel Discussion at the Main Library on November 9th from 6:30-8:00 pm. The Soundtrack includes many of the iconic songs representing the era, including 38 tracks chosen from the 120 tunes heard on the ten-part film series, "The Vietnam War." 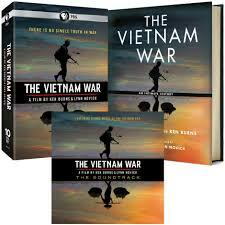 More than forty years after it ended, the Vietnam War continues to haunt our country. We still argue over why we were there, whether we could have won, and who was right and wrong in their response to the conflict. 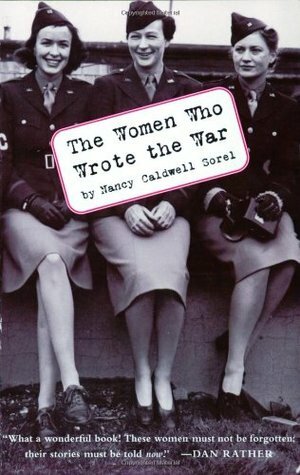 This volume draws on hundreds of interviews in America and Vietnam to give us the perspectives of people involved at all levels of the war: U.S. and Vietnamese soldiers and their families, high-level officials in America and Vietnam, antiwar protestors, POWs, and many more, seeking to understand why the war happened the way it did and to clarify its complicated legacy. WHAT ARRRRRGH YOU READING THIS SUMMER? Summertime is here!!! It’s a great time to “FIND YOUR TREASURE AT THE LIBRARY”!!!! June 5th from 6:00pm to 8:00pm at the South Branch kicks off our Summer Reading Program with the first of 2 Kick-off Parties. June 5th will be the first chance to sign up for the Summer Reading Program. There will be fun for the entire family. Food, Games, Activities, and summer information from local agencies will be available. Can’t come that day? No worries…, the second Kick Off party will be at the Main Branch (downtown) on Thursday June 8th from 6:00pm to 8pm. 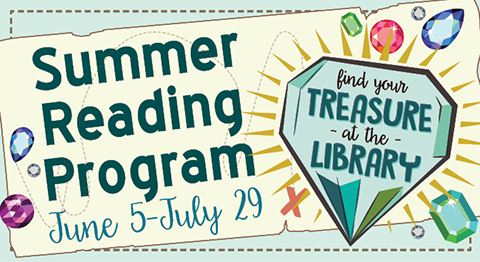 The Summer Reading Program goes from June 5th – July 29th. There is a program for the entire family. 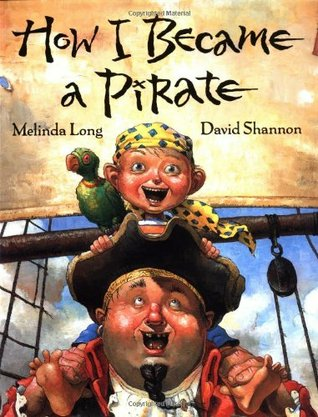 Baby pirates (Birth -3yrs.) 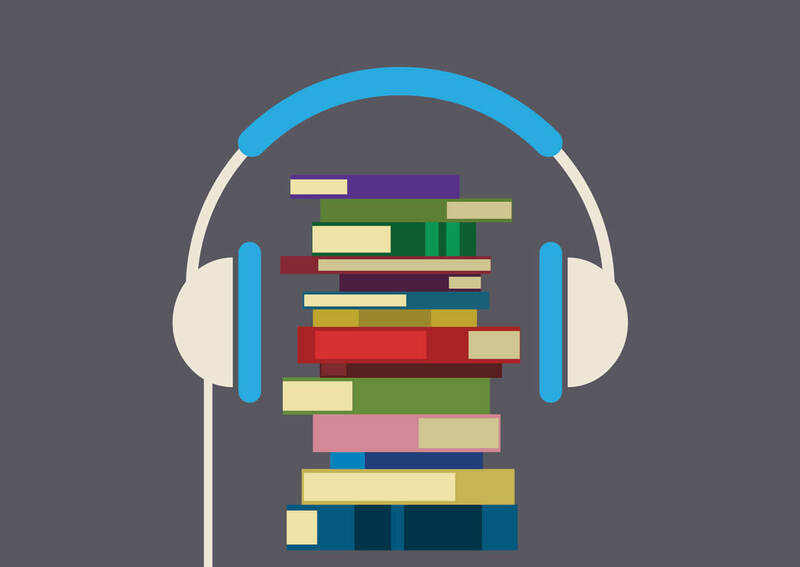 are asked to read/listen to books 5-10 minutes a day. 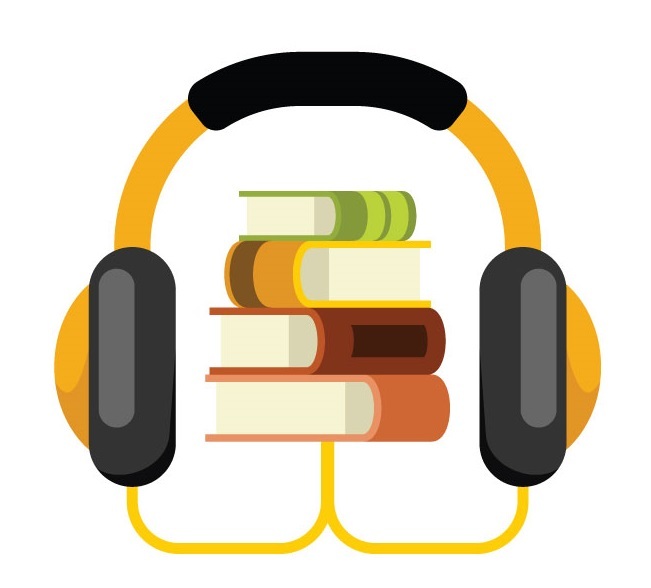 School age pirates (PreK-5th grade) are asked to read/listen to books 20 minutes a day. And Teen Pirates (6th-12th grade) are asked to read/listen to books 30 minutes a day. Mark your game boards and return them to any library location for cool prizes. 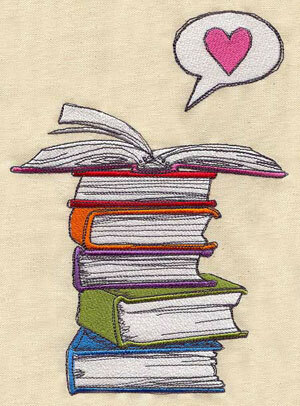 Adult pirates can turn in finishing slips for every book read/listen to or every 3 magazines. The more slips turned in-the greater your chances to win prizes. The Summer Program will also feature fun programs throughout the summer. The Bookmobile will offer craft programs at Jackson-Morrow Park, Dash and Dot (programmable robots) will be digging for treasures, and the Youth Multi-cultural Rhythm Workshop will be hosted by the Kokomo Park Band, and we will also host activities in the New NATURE EXPLORE OUTDOOR CLASSROOM in Russiaville. We also have Silly Safaris, Dr. Bone’s Dinosaur Show, Circus Boy, Tricky Max Comedy Magic Show, Laser Light Show, the Magic of Marcus Lehmann, and the Madcap Puppets coming. Visit www.KHCPL.org for details or download a copy of our Newsletter for dates and details. IT’S GOING DOWN FOR REAL AT KHCPL! 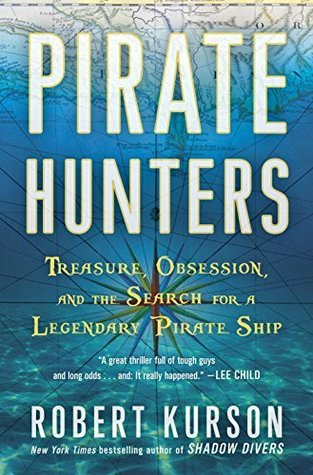 Here are a few titles to help begin your hunt for treasures! While booksellers were quick to embrace the book giving aspect of All Hallows’ Read, libraries quickly embraced the reading aspect. 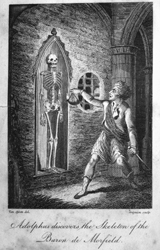 During the month of October, librarians encourage patrons to read a scary to celebrate Halloween, making All Hallows’ Read a celebration of reading as well as of books. If you don’t enjoy horror or paranormal, try suspense. If that’s not to your taste, try something seasonal. And, if you don’t care for the theme, then simply read. Read a book this Halloween. The first 5k races of the year take place in January with weather-hardy runners participating in New Year’s resolution runs and polar bear dashes. There is another smattering of events in February clustered around Valentine’s Day. Likewise in March, several Shamrock Shuffles are held in honor of Saint Patrick’s Day. 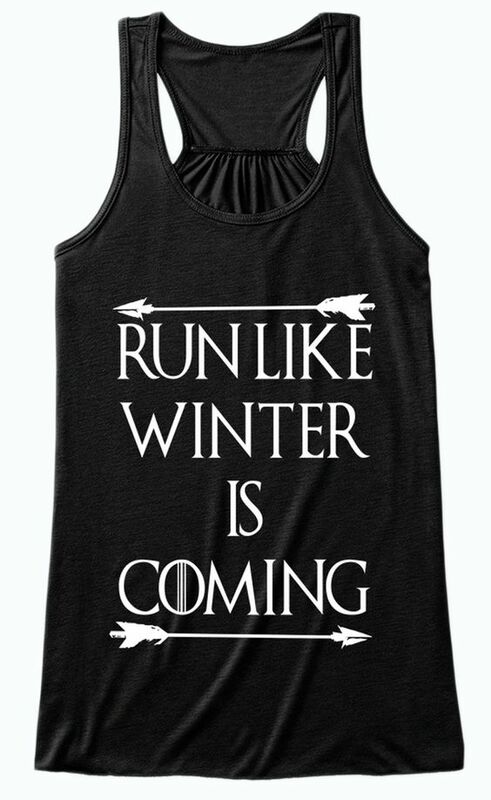 But 5k season doesn’t begin en force until April. 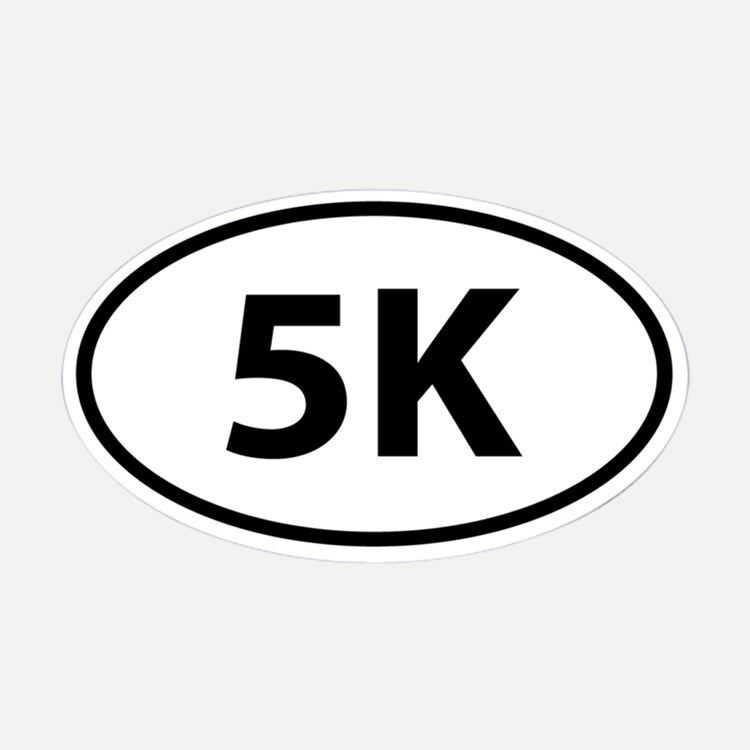 Once the warmer weather hits, it’s possible to run at least one 5k race each week without leaving the state. The number of events begin to taper off in September and October, and the year wraps up with turkey trots around Thanksgiving and reindeer runs around Christmas. If you’re picking up running shoes for the first time, there are many running experts with programs to get you from the couch to 5k. Shape Magazine has a guide to get you 5k ready in just 6 weeks, and champion runner turned coach Hal Higdon has an 8 week novice program. If that’s too much too soon, Everyday Heath has a 12 week plan. While running seems intimidating, most running programs for beginners alternate between running and walking, gradually increasing the running time each week. 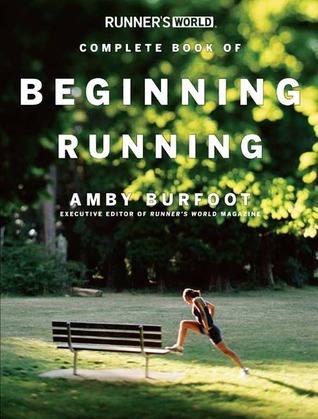 KHCPL also has introductory running books available in our collection. 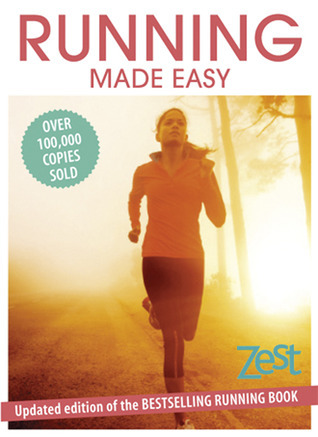 If you are tech savvy and in the market for a good running app, check out KHCPL’s Tech for You blog post for recommendations. And if you need new music to freshen up your playlist, you can download 5 songs per week from Freegal. For support and encourage, check out the Kokomo Roadrunners Club. They are at Highland Park every Wednesday, organizing a free run/walk. The Joe Kidd Rangel 5K starts at 5 PM, and the Jackie Sanders Miracle Mile follows at 5:45 PM. 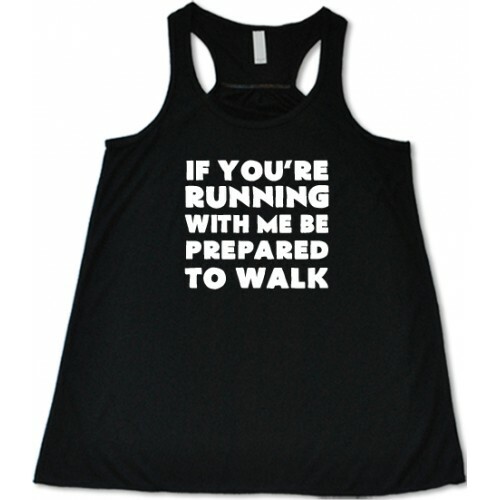 It’s a great way to train, stay motivated, and meet fellow runners. The calendar on their website is also a good source for local and regional events. Club Kokomo Roadrunners also sponsor the annual Haynes Apperson 5k Run/Walk, which will be held on Saturday, July 1, 2017. The LocalRaces website is another resource for finding nearby race. Just enter your city and state and then use the filters to select the type of event as well as driving distance. To locate races in the entire state of Indiana, the Indy Runners Club is fantastic resource. If you’re looking for less competitive races, check out Fun Races. 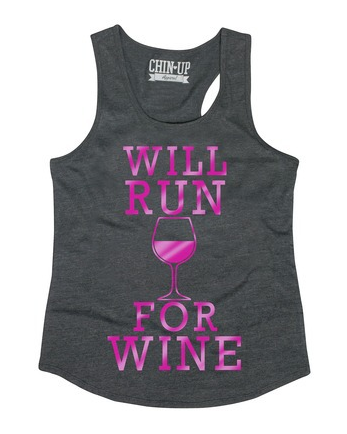 This site features events that combine running with fun things such as wine and cupcakes. These races are also stroller friendly if you want to include your small children. If you want to run in the mud, a number of trail events are held in Indiana each year. The Tippy Mud Run is a 5k mud run held annually at Cary Camp in Lafayette. Do INdiana Off-Road offers everything from 5ks to a marathon as well as mountain biking and triathlon. If you have the urge to ultra, check out the Huff, which is a 50k held annually the Chain O’ Lakes State Park. For more challenging events, check out Tough Mudder, the Spartan, and Viking Dash Trail Runs. 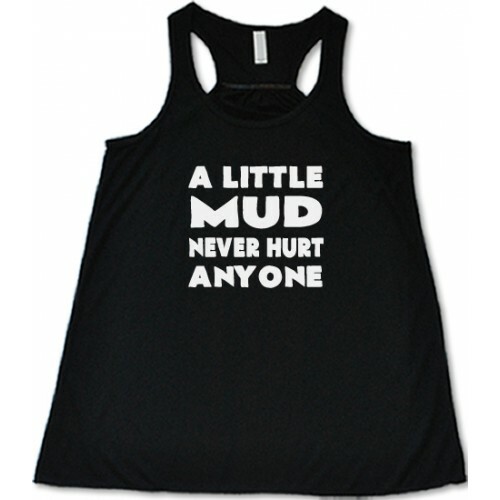 For a ladies only mud run, try Dirty Girl. 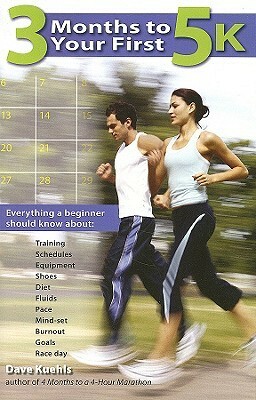 Whether your goal is just to walk a mile or run a full marathon, there is something for everyone during 5k season. KHCPL’s book discussion program kicks off in September. We have selected an exciting and diverse group of books for the 2017 -- 2018 program. Participants may attend any or all discussions. Multiple copies of each selection will be available at each KHCPL location one month prior to its discussion. Audio, large print, and digital editions may also be available, and KHCPL staff members will be happy to place a hold on these items for you. 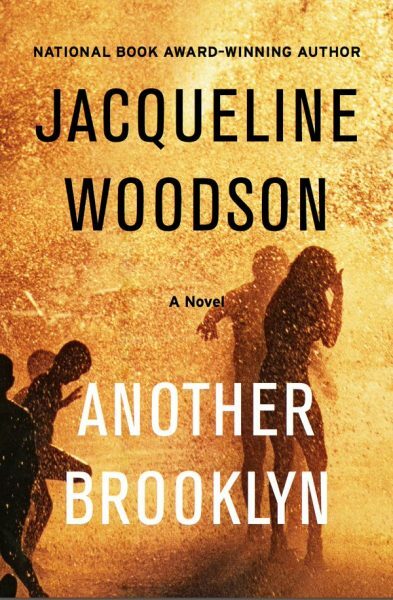 Another Brooklyn by Jacqueline Woodson is a novel that reads like poetry. Anthropologist August is called back to Brooklyn by her father’s death. When she glimpses a former childhood friend on the subway, she is suddenly transported back to 1970s Brooklyn, reliving old memories a series of flashbacks. 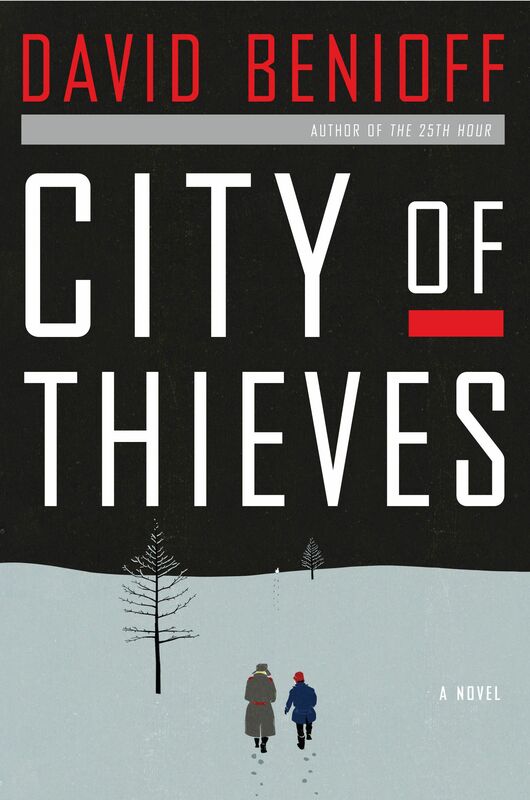 City of Thieves by David Benioff is set during the siege of Stalingrad. Lev and Kolya strike a bargain with a Soviet officer. In exchange for finding a dozen eggs to be served at his daughter’s wedding, he will release rather than execute them. Their desperate search through the war-torn city results in a black comedy of errors. 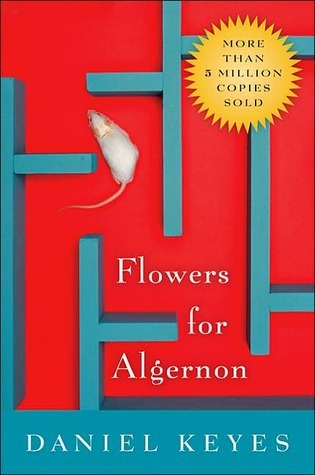 Flowers for Algernon by Daniel Keyes unfolds through a series of journal entries. Charlie, a cognitively disabled adult, along with Algernon, a lab rat, undergo experimental brain surgery designed to increase intelligence. The procedure is a success, and Charlie’s IQ soars to genius level. Tragically, he is now also capable of understanding the implications of Algernon’s sudden unexpected decline. 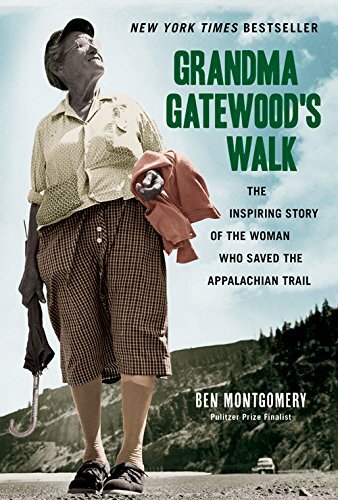 Grandma Gatewood’s Walk by Ben Montgomery is the Howard County Reads 2017 selection. 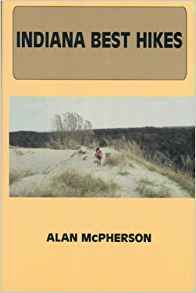 Part biography, part history of the Appalachian Trail, part nature writing, and part hikers’ manifesto, this is the story of Emma Gatewood from Gallia County, Ohio, who in 1955 at the age of 67 became the first woman to continuously hike the Appalachian Trail. She simply told her children she was “going for a walk” and set off on this unbelievable journey. 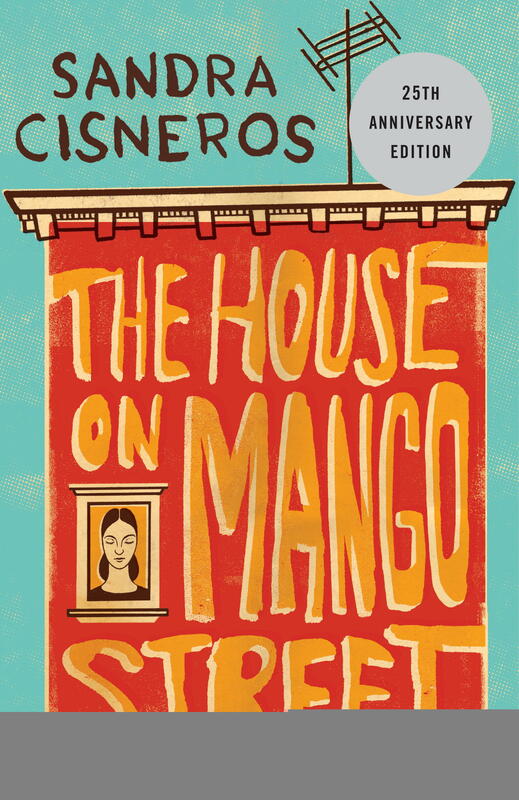 The House on Mango Street by Sandra Cisneros is told in a series of poetic vignettes. Esperanza Cordero describes growing up in a poor Latino neighborhood in Chicago. Her own voice mingles with the stories of those around her. 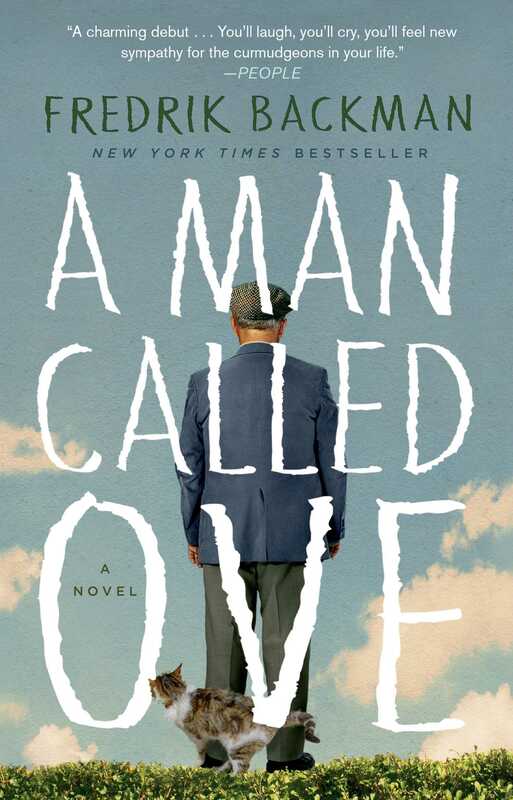 A Man Called Ove by Fredrik Backman introduces readers to Ove, a Swedish curmudgeon who likes rules and routines and dislikes everything else. 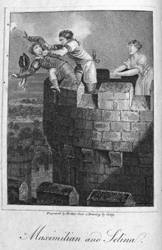 But his cantankerous exterior hides his crushing grief over his wife’s death. When a new family who exemplify everything Ove hates moves into the neighborhood, an unlikely friendship develops. 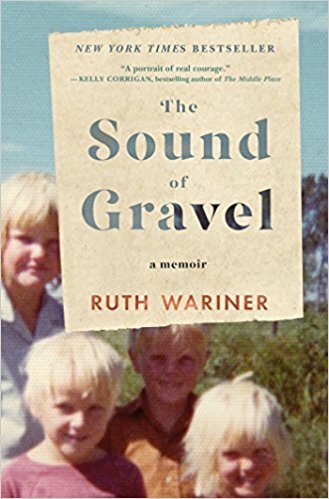 The Sound of Gravel by Ruth Wariner recounts her harrowing childhood in the LeBaron fundamentalist Mormon colony in Chihuahua, Mexico. The fourth child of her mother and the thirty-ninth of her father, she grew up in abject poverty, experiencing instability, abuse, and neglect, before eventually escaping to her extended family in the United States. 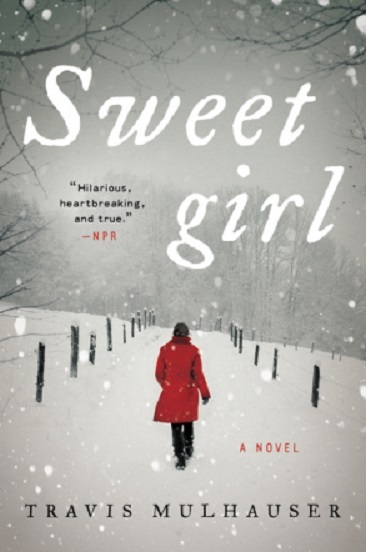 Sweetgirl by Travis Mulhauser is reminiscent of Winter’s Bone by Daniel Woodrell. Despite the impending blizzard, 16 year-old Percy James drives out to a nearby the farmhouse in search of her MIA mother. Her mother is nowhere to be found, but Percy stumbles upon a neglected baby alone in an upstairs bedroom. Unable to call 911, she flees with the child, intending to take her to safety at the local hospital. 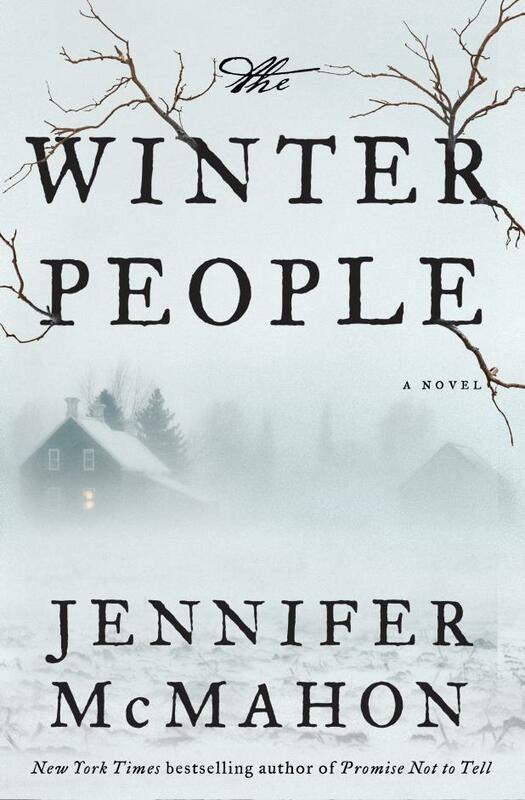 The Winter People by Jennifer McMahon alternates between the early 20th Century and the present day. In 1908 Sara Harrison Shea grieves the death of her child, contemplating an unthinkable act, while in the present Ruthie wakes up to discover that her mother has vanished without a trace. Both women, living in the same Vermont farmhouse, are drawn together when the missing pages from Sara’s diary resurface. 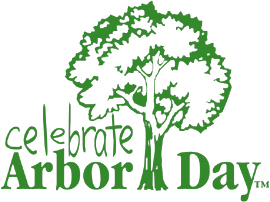 National Arbor Day is coming up on Friday April 28, 2017. Trees contribute to our Earth in important ways, including preventing species loss, slowing climate change, and adding to the beauty of nature. Help us celebrate this special day by planting new trees and honoring the amazing trees around us. No idea on how to choose or plant trees? 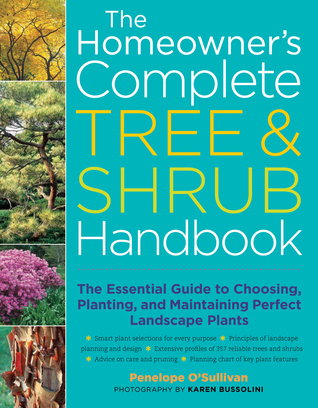 Check out The Homeowner’s Complete Tree & Shrub Handbook by Penelope O'Sullivan or Taylor’s Guide to Trees by Norman Taylor to plant the perfect tree for your area. Another way to celebrate National Arbor Day is to spend time outside admiring the beauty of trees all around us. 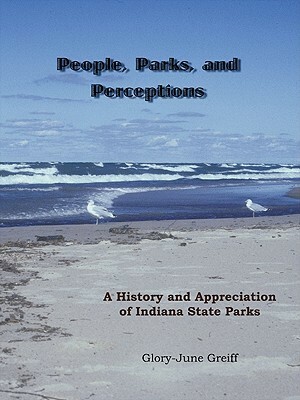 Explore the parks of Indiana at home through the stunning images in Indiana State Parks by Matt Williams or take an outing like the walks highlighted in Nature Walks on the Indiana Prairie by Alan McPherson. 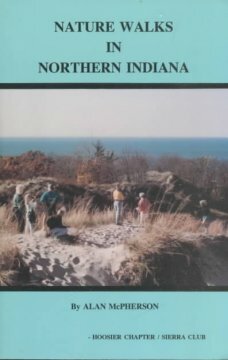 But before you go, learn about the trees you’ll see in 101 Trees of Indiana by Marion T. Jackson or Native Trees of the Midwest by Sally S. Weeks, Harmon P., Jr. Weeks, and George R. Parker. Learn about over four hundred different animals from around the world who live in habitats filled with trees in Wildlife of the World. 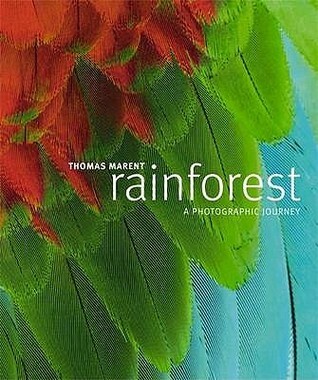 Check out Rainforest by Thomas Marent, a collection of photographs of different animals and plants that survive in tree filled rainforests, which also includes a CD that plays the unique sounds of a rainforest! 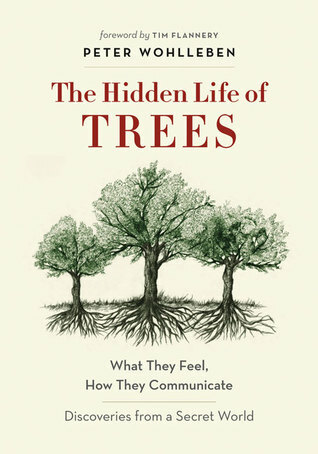 See how trees inspired John Fowles to write many of his fictional works in The Tree and discover a forester’s fascinating stories about how trees communicate and care for each other in The Hidden Life of Trees by Peter Wohlleben. March Is Genealogy Month at KHCPL.